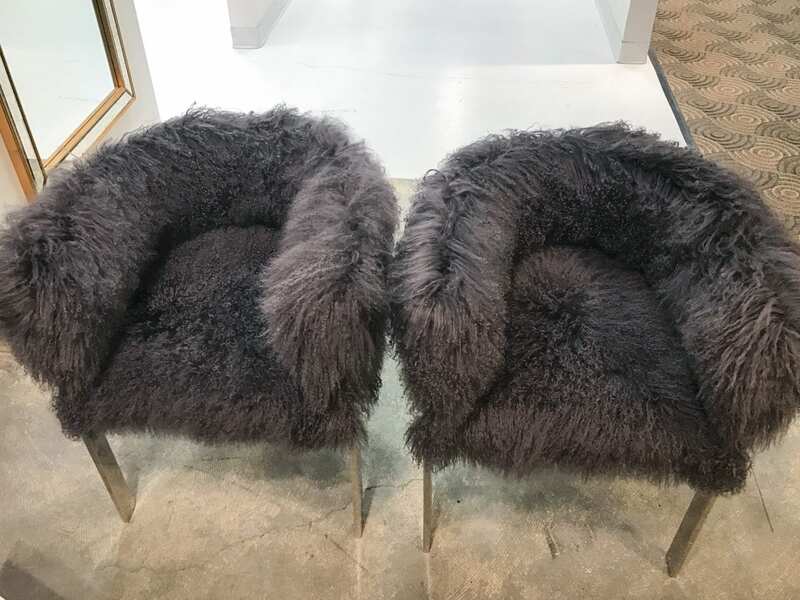 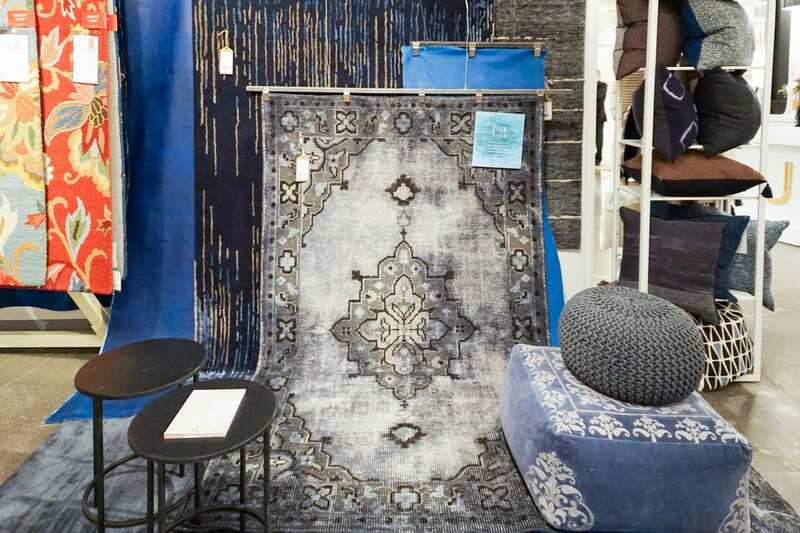 As the largest home furnishing and decor trade show available to trade professionals on the west coast, we were thrilled to have seven of our vendors showing at Las Vegas Market for the 2017 Winter Market. 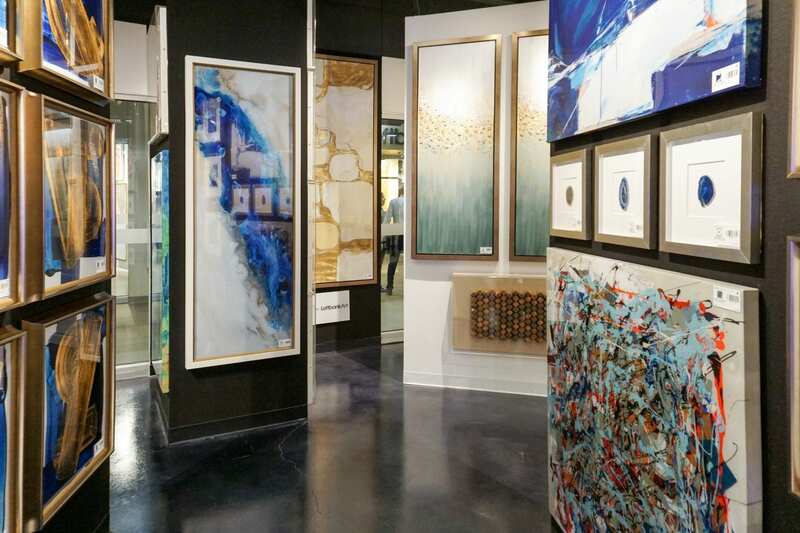 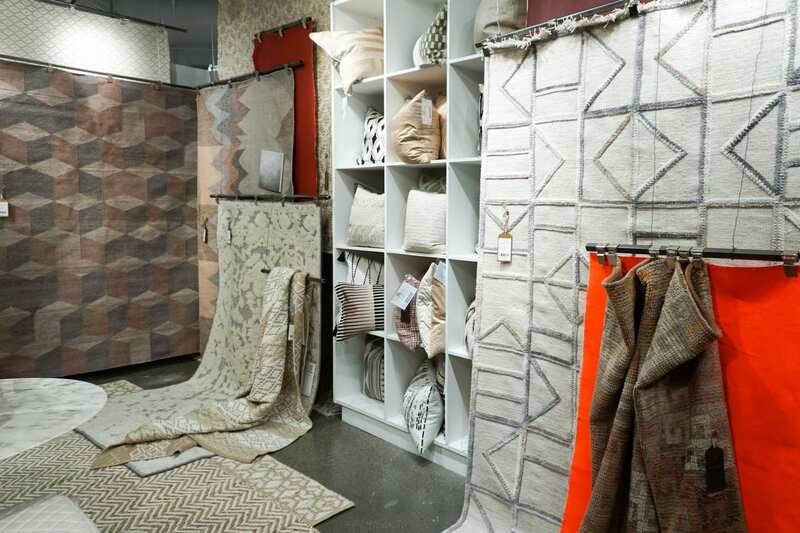 As one of the 4 major markets in the U.S, Las Vegas Market is the opportunity for designers and retailers to discover the newest product and learn the latest trends in the industry. 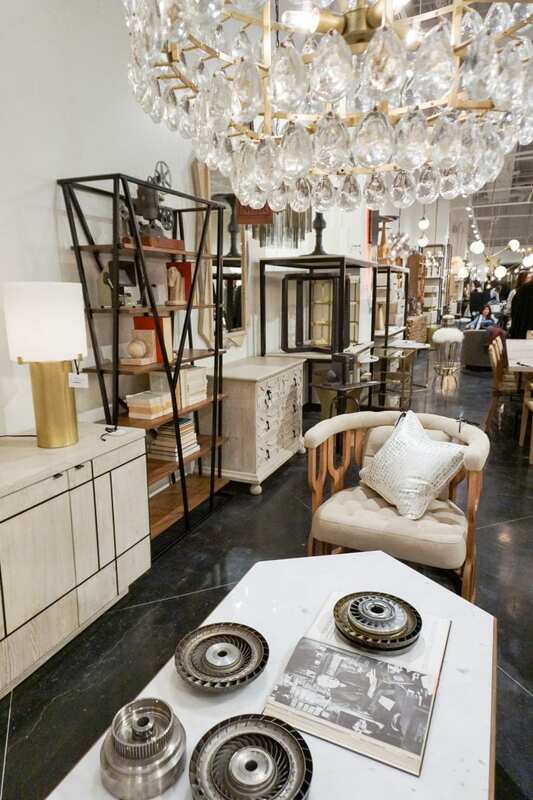 While our vendors products are always available to view online and in catalogs, seeing these showrooms in person is incomparable. 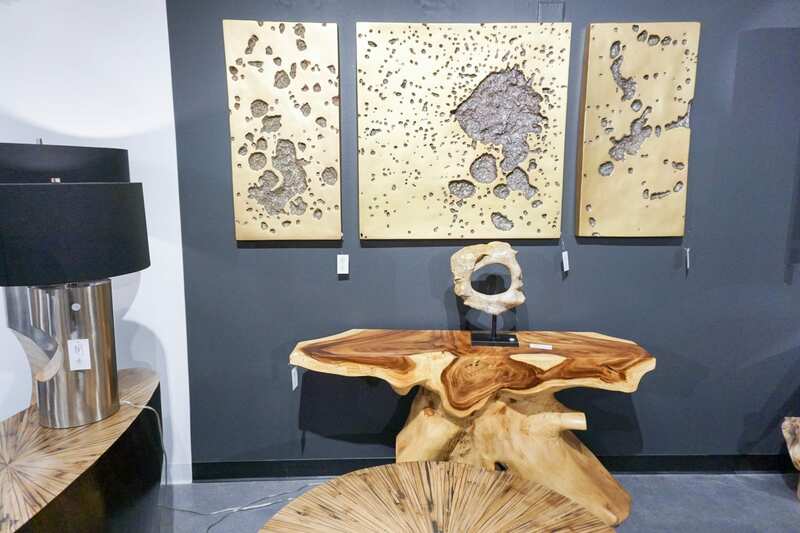 Not only do you get immediate inspiration, but you touch, see, and size product for current or future projects. 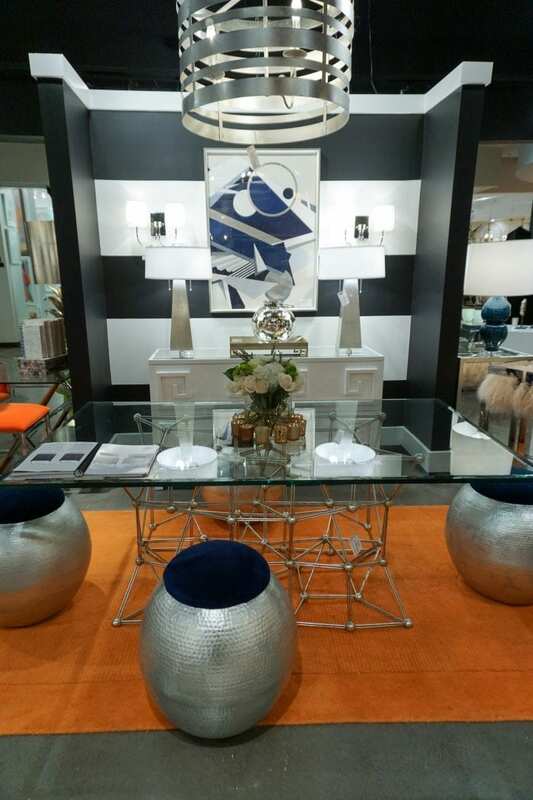 Remember to follow us on Instagram for daily inspiration and industry news! 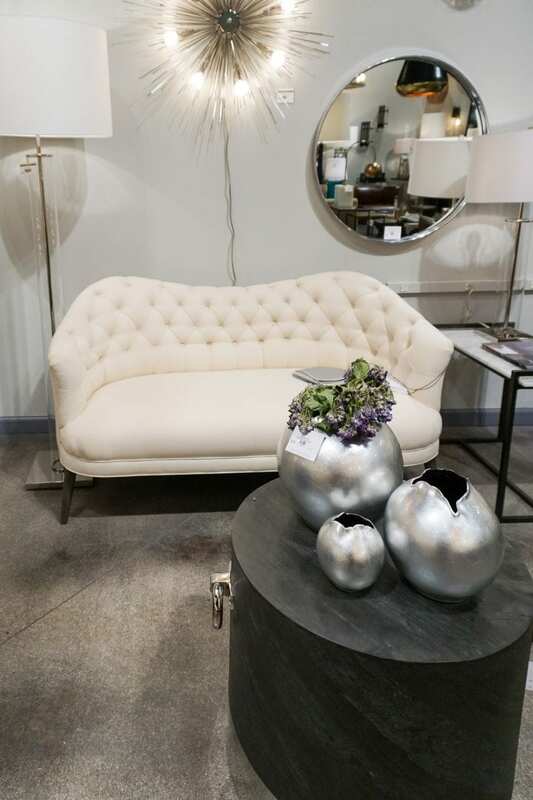 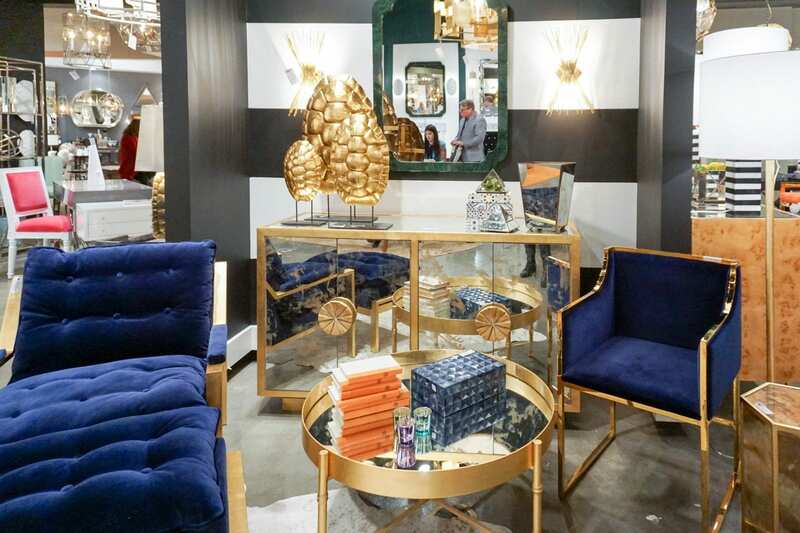 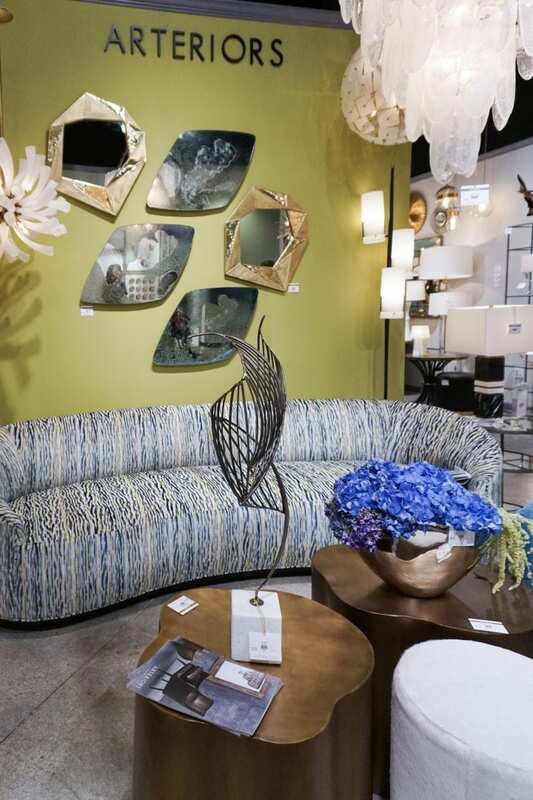 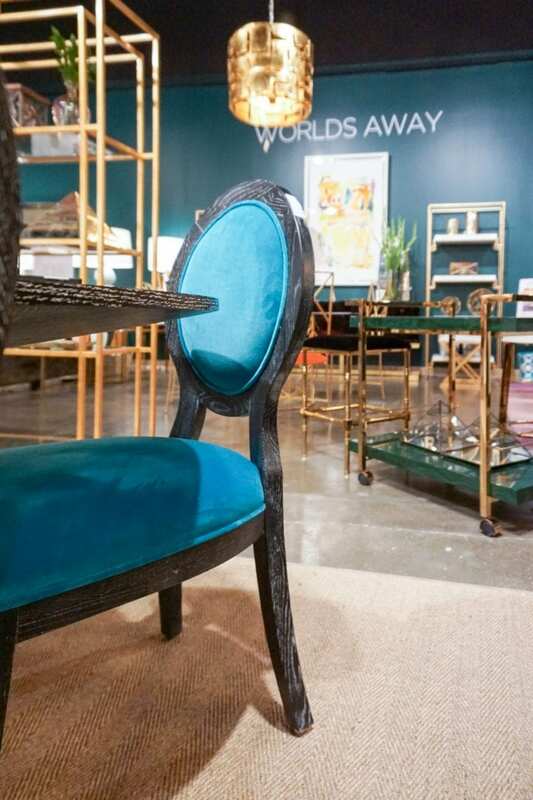 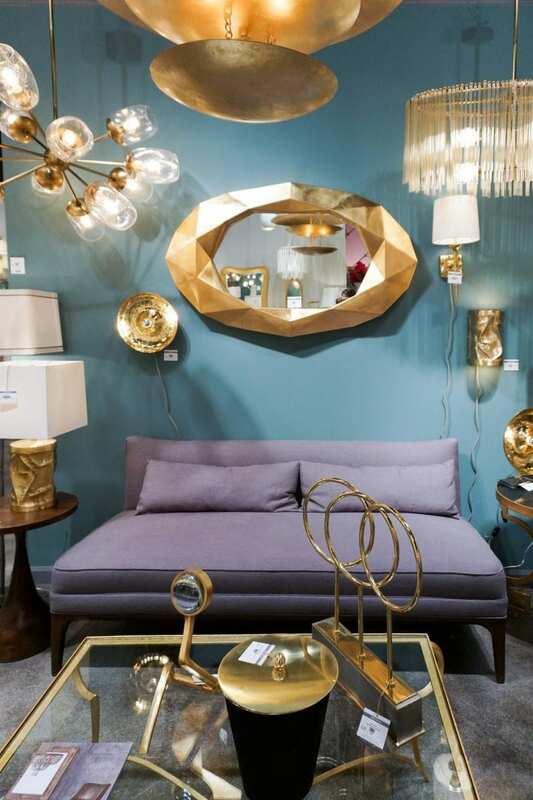 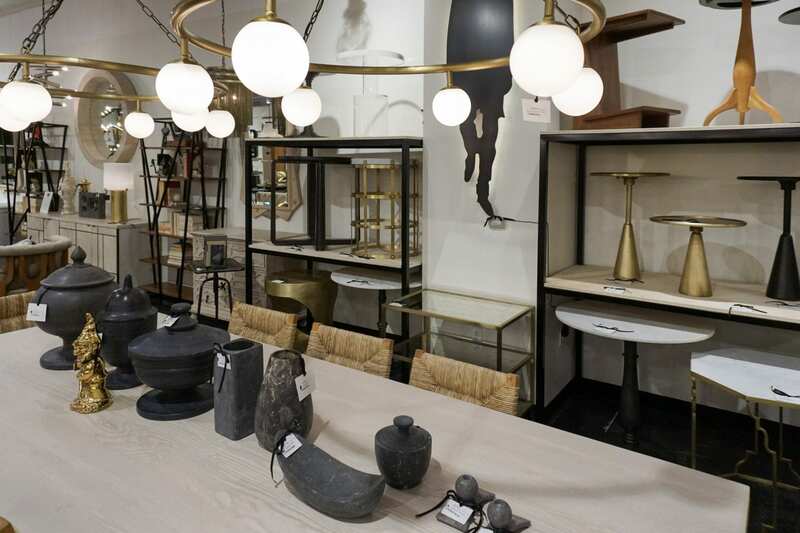 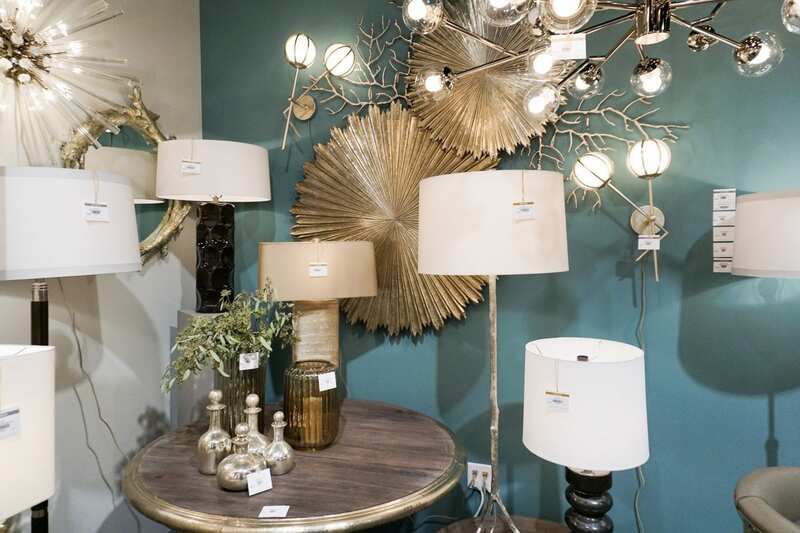 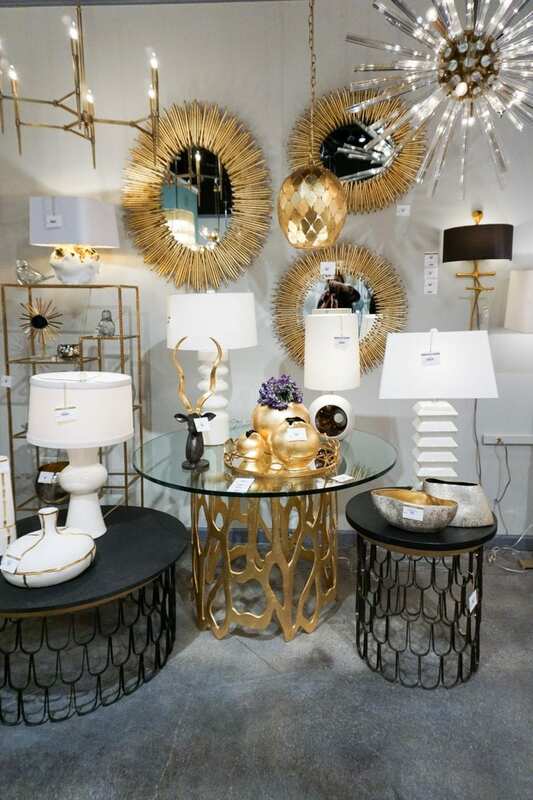 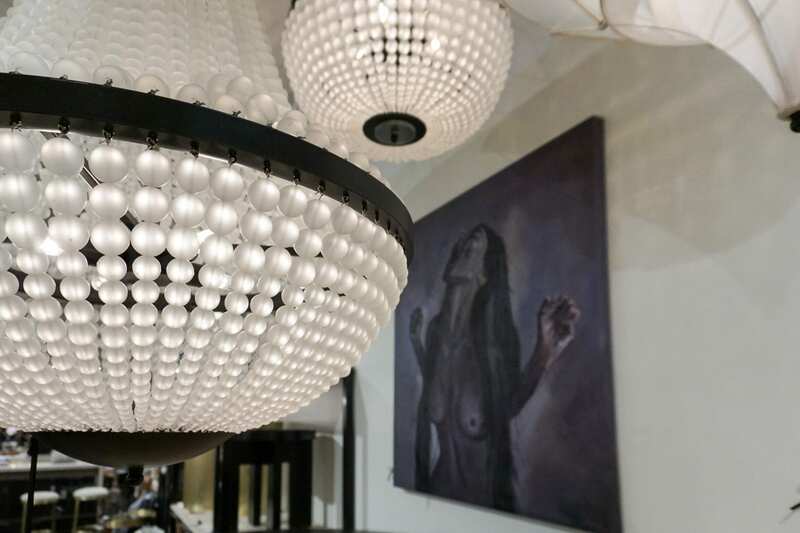 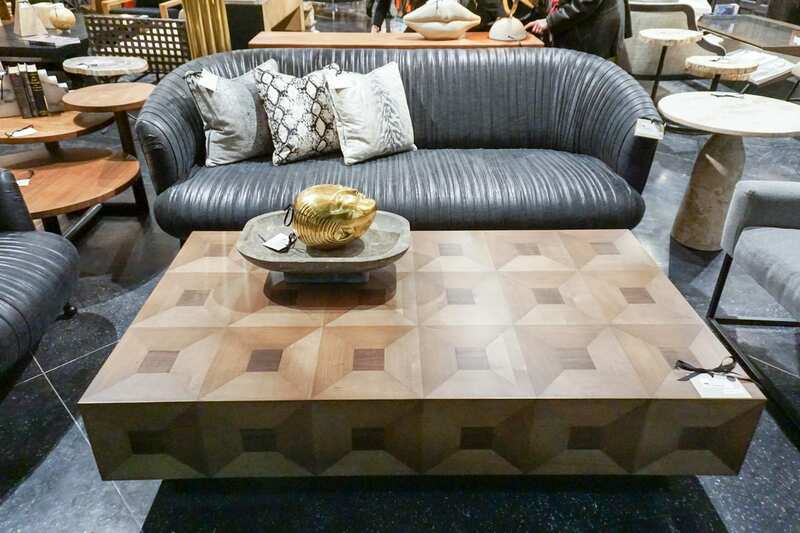 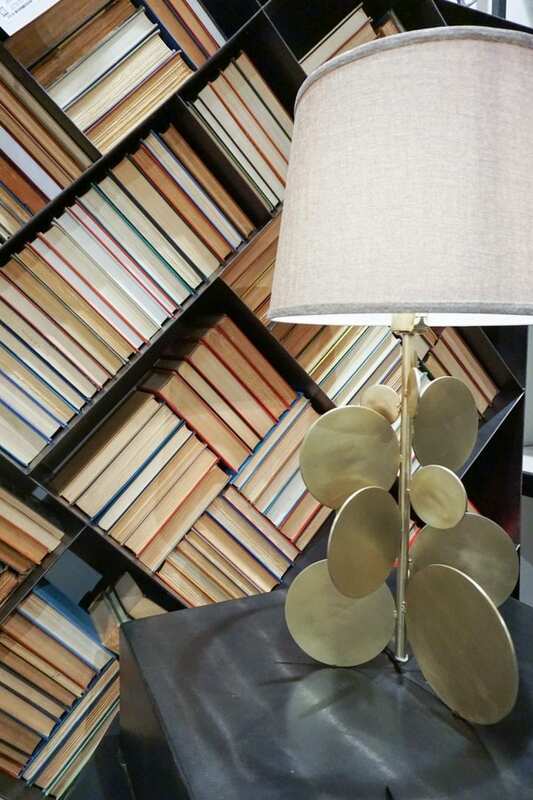 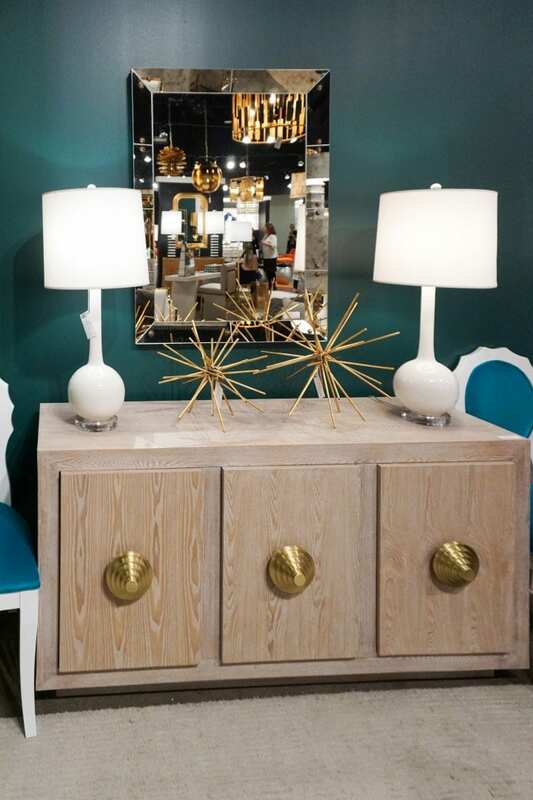 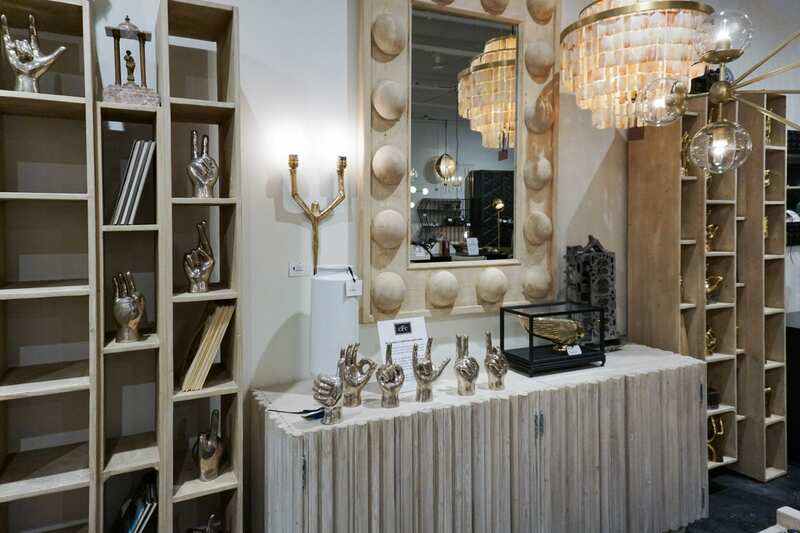 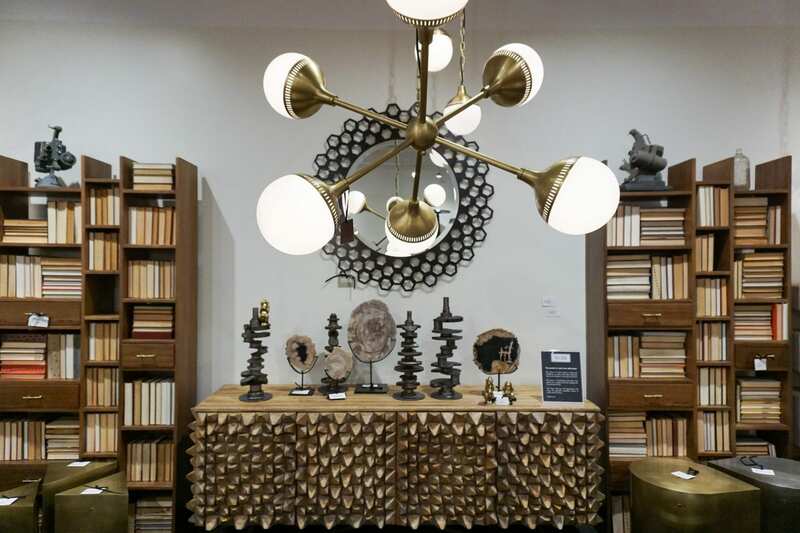 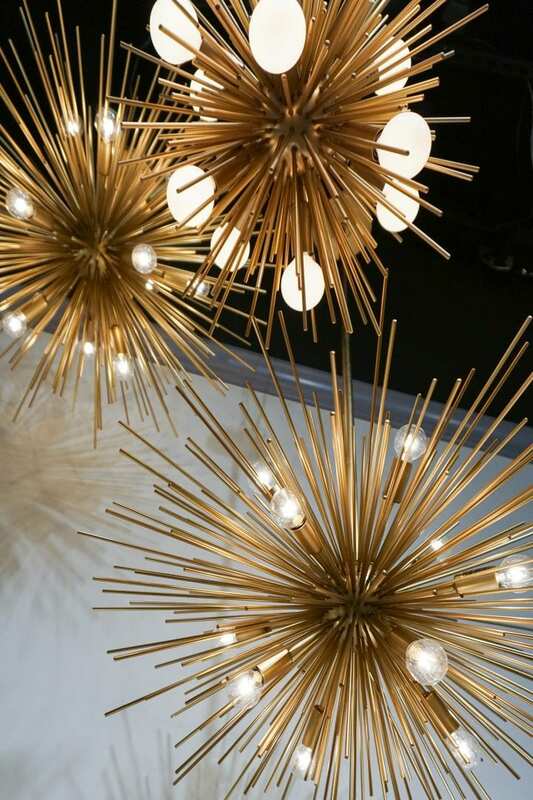 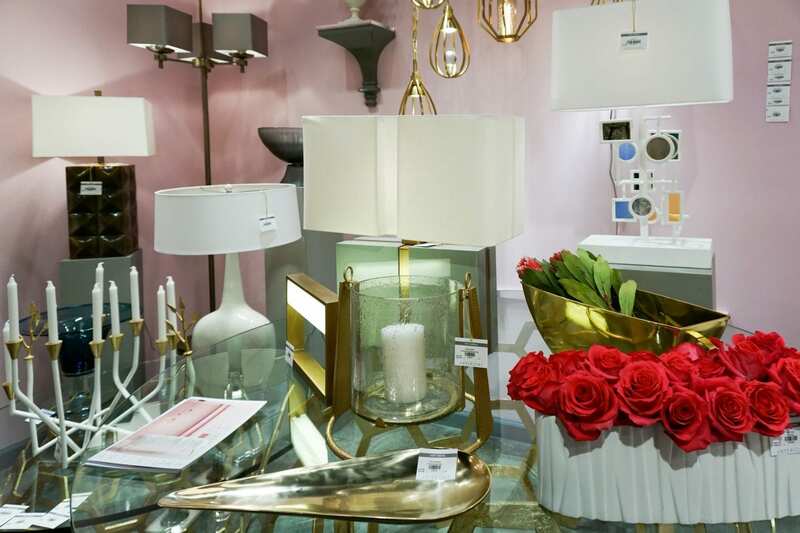 Arteriors returned to Las Vegas Market after a 2-year absence and their brightly lit, eclectic space stole the show. 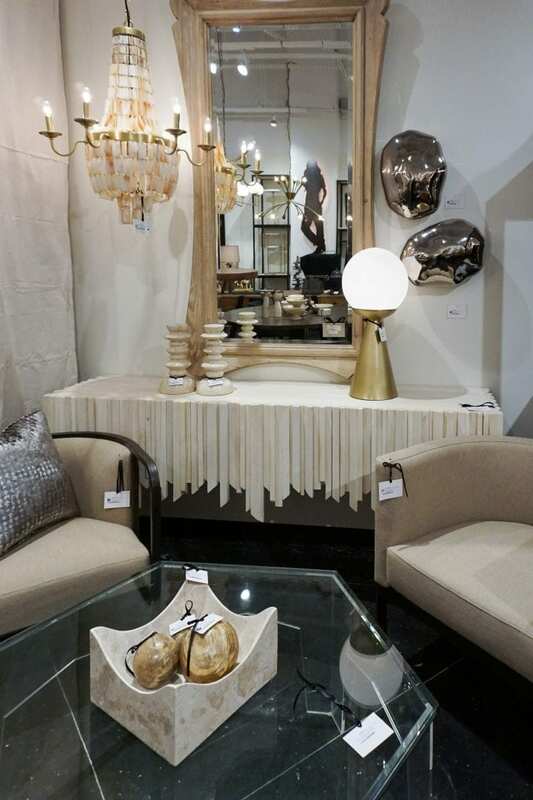 If we could summarize the showroom this season, it would be “Hollywood Glam”. 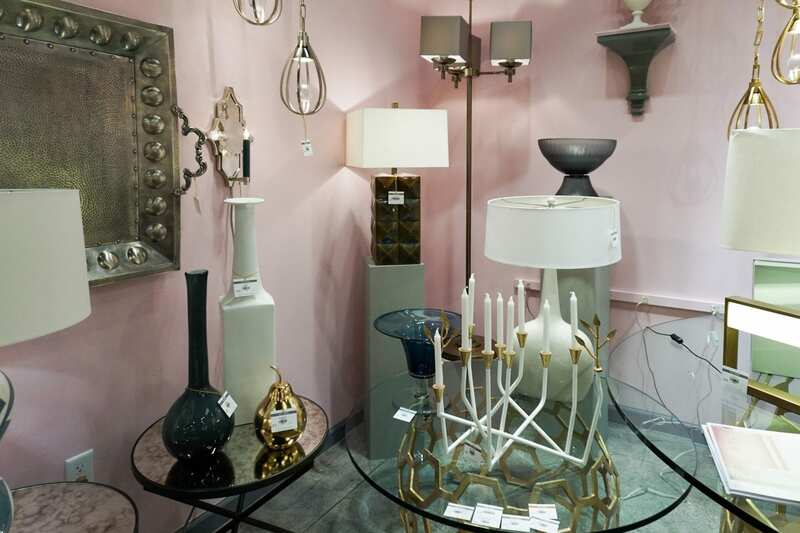 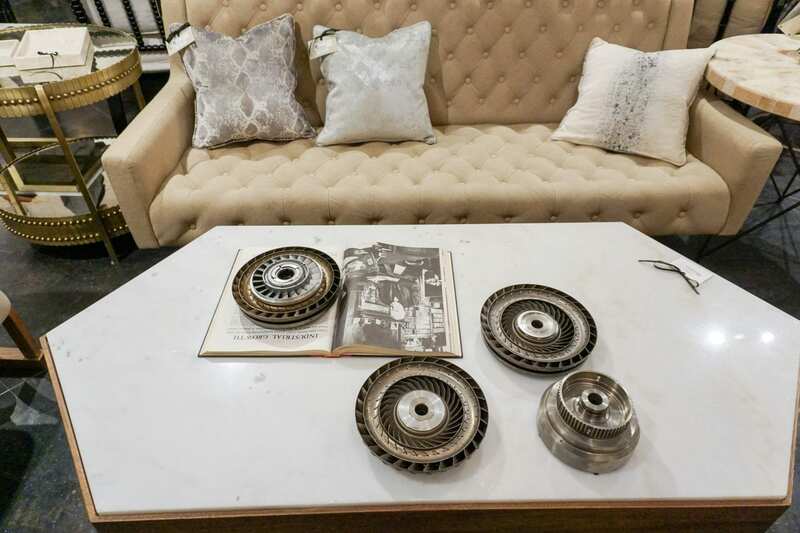 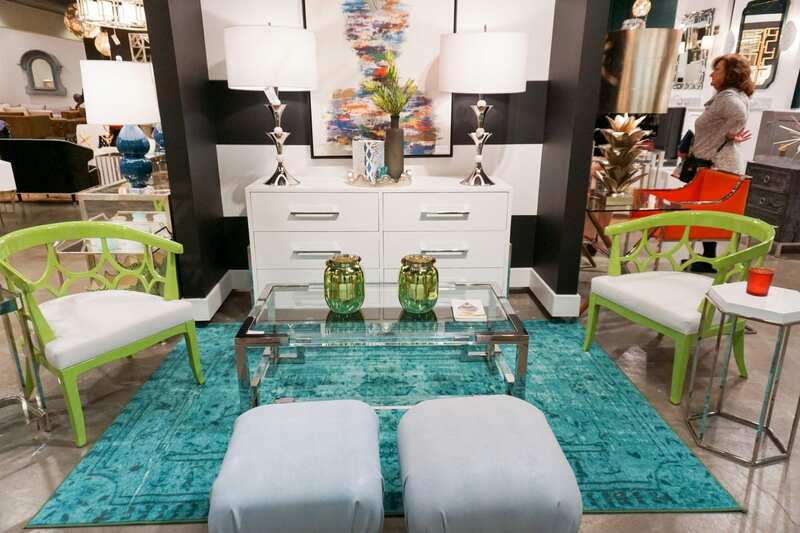 The showroom greeted you with a mix of outstanding metal pieces and cool, pastel accent walls. 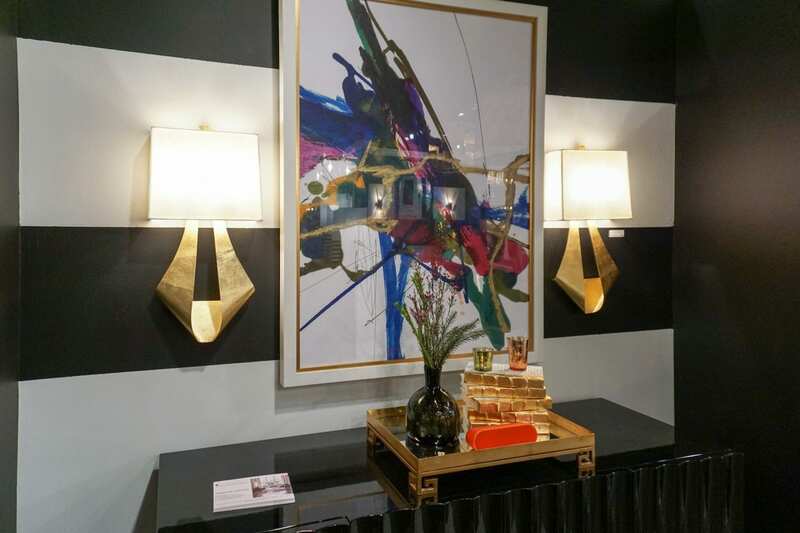 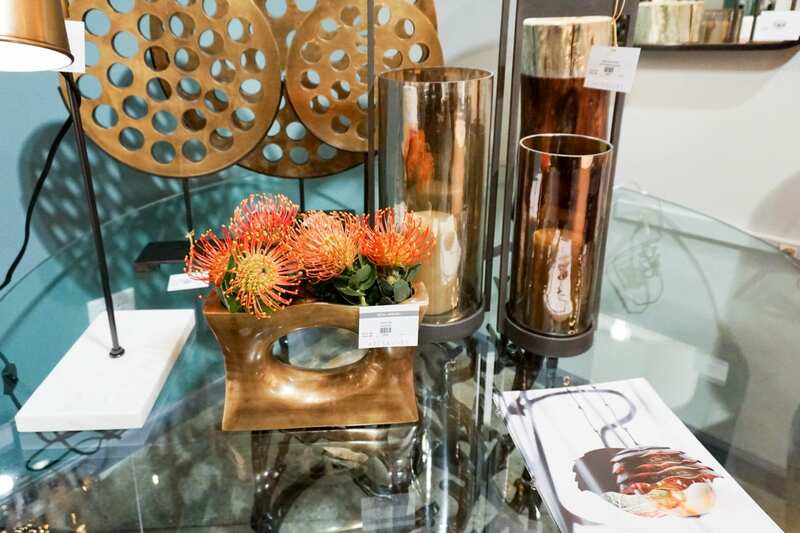 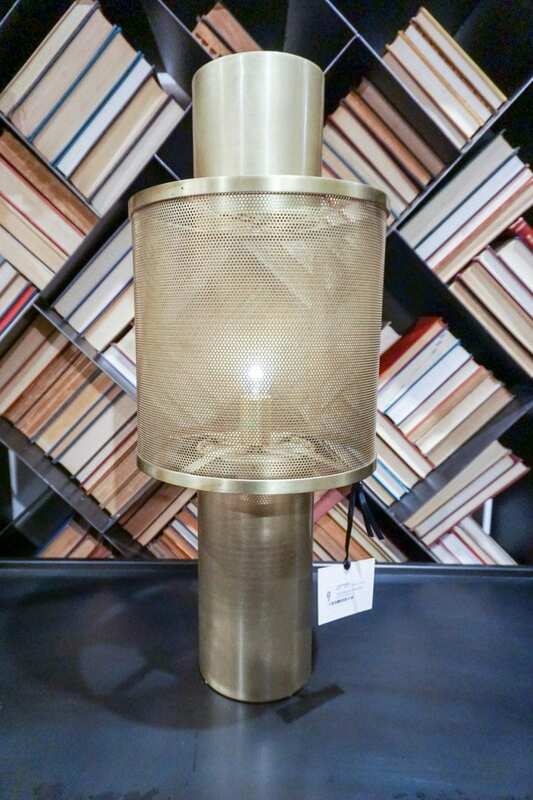 Windsor Smith’s chic collection was a head-turner with her feminine yet bold approach to the edgy Arteriors style. 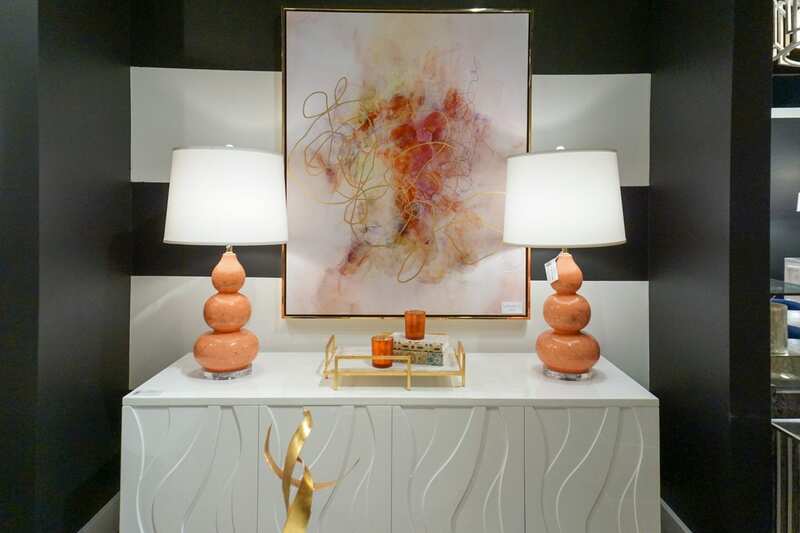 We also loved the neutral, pearlescent Arteriors mixed in using whites with rich, earthy textures and pairing with stones, gems, and silver accents. 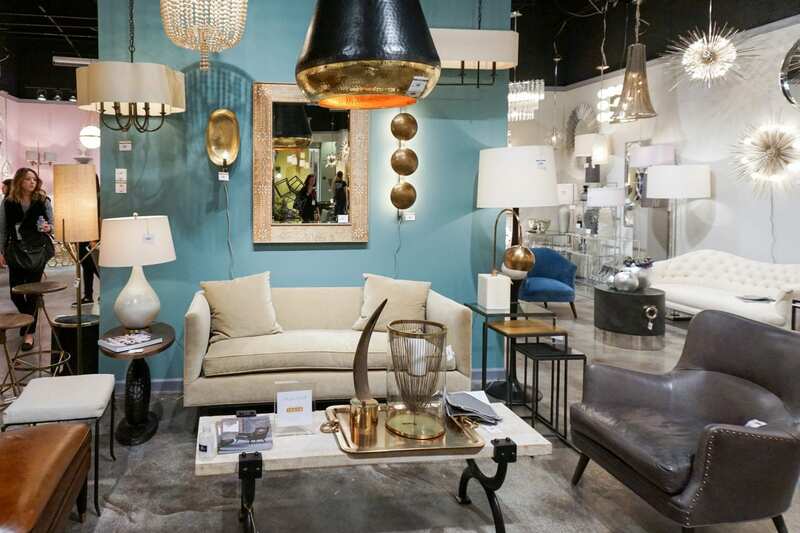 Arteriors’s new website launched over market with a customer enhanced interface! 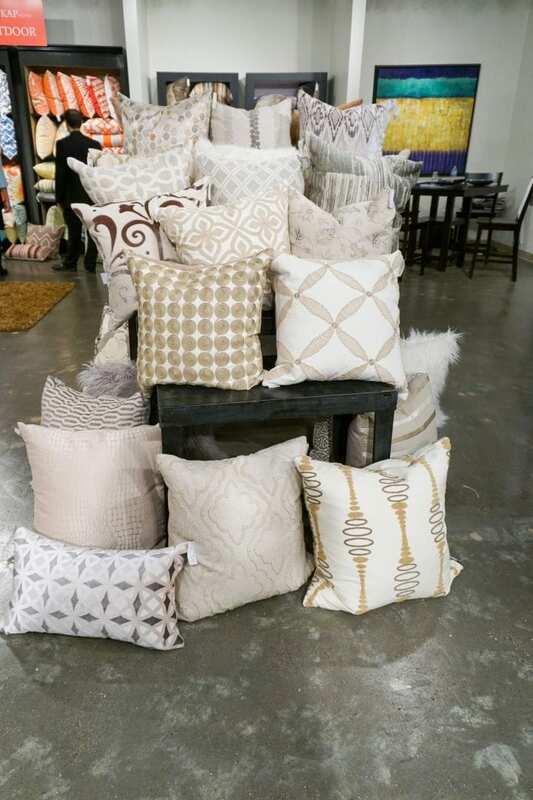 Line is 90% in stock with a new collection launching in the coming months. 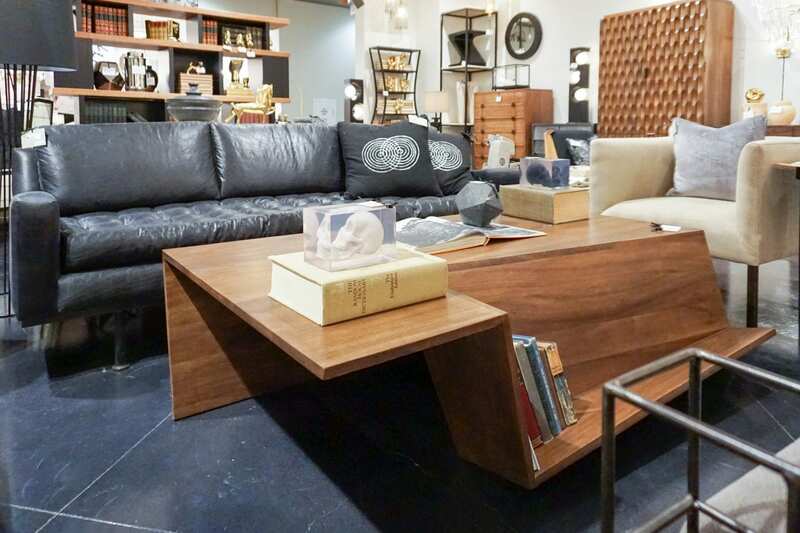 Best sellers in upholstery include the Springsteen Chair and Turner Sofa. 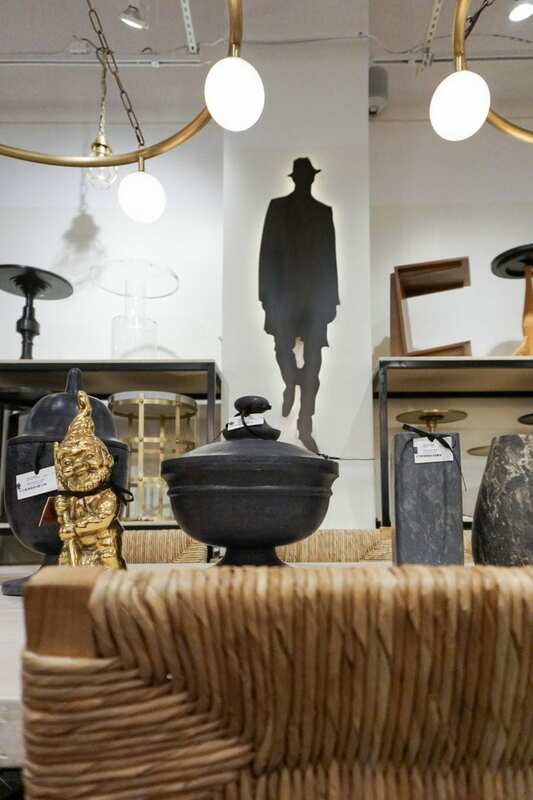 Bassman Blaine had the opportunity to provide a stylish hospitality suite this year in Building C for market-goers to grab a free snack and drink while recharging their phones (and feet). 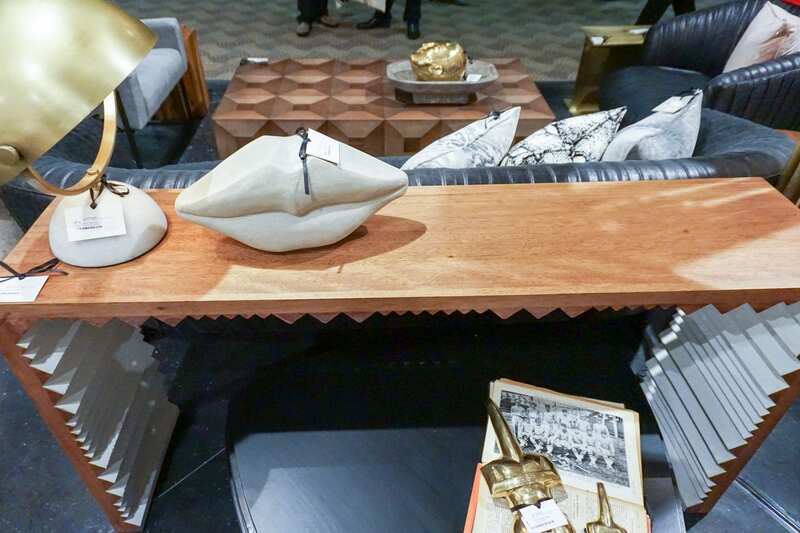 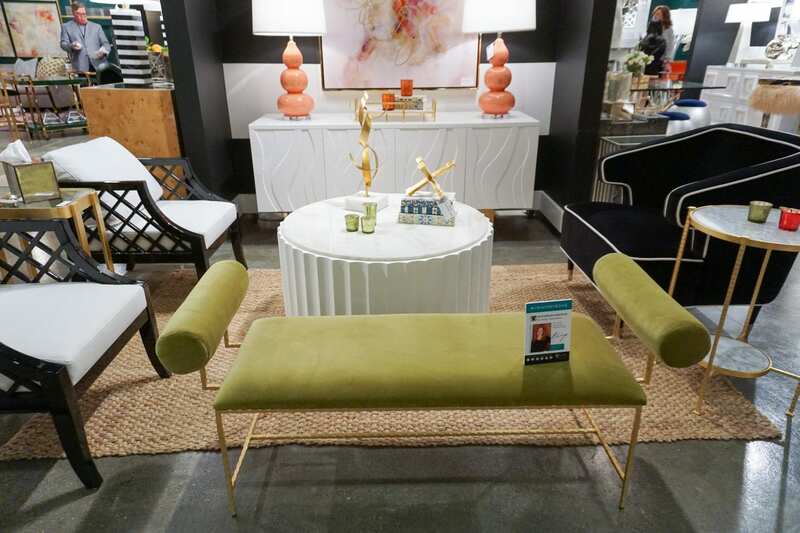 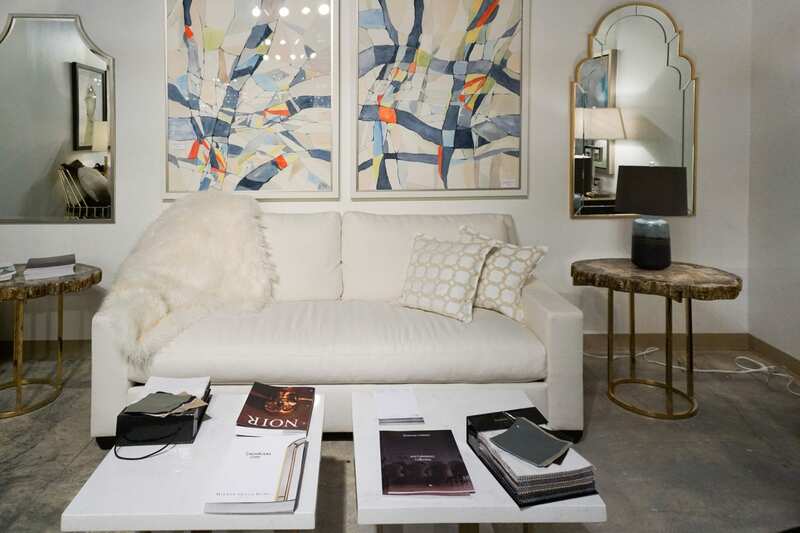 Our suite featured pieces from Bronson Couture – our custom upholstery line, Mirror Image Home, and Leftbank Art. 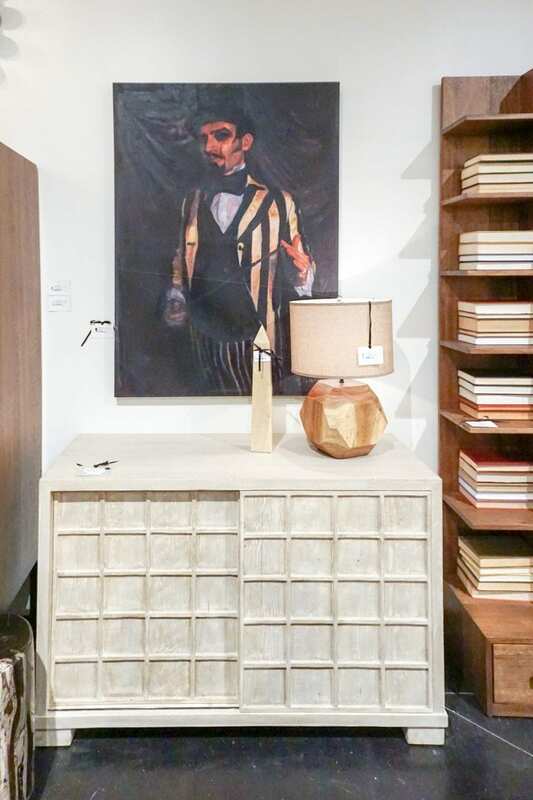 Select in stock frames and fabric at Bronson Couture are quick-ship and can be available in 1-2 weeks; regular lead time is 6 weeks. 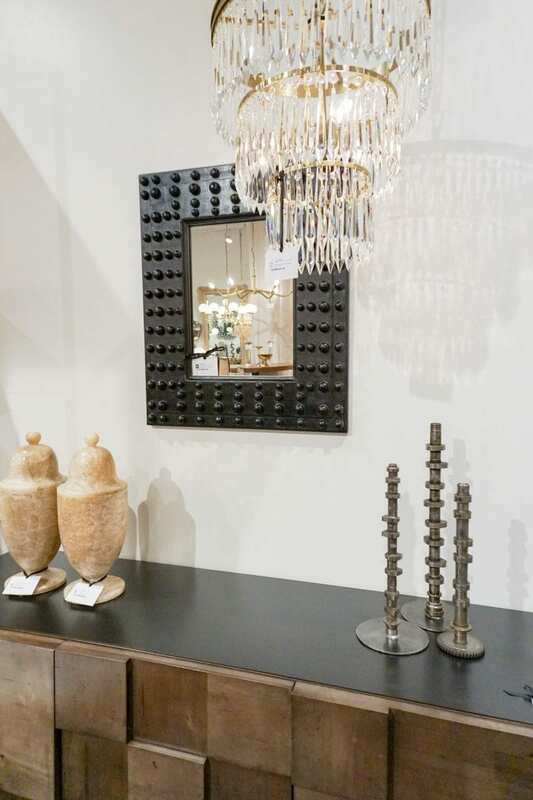 Mirror Image Home also revamped their website and their new digital Mirror Image Spring 2017 catalog can be viewed HERE. 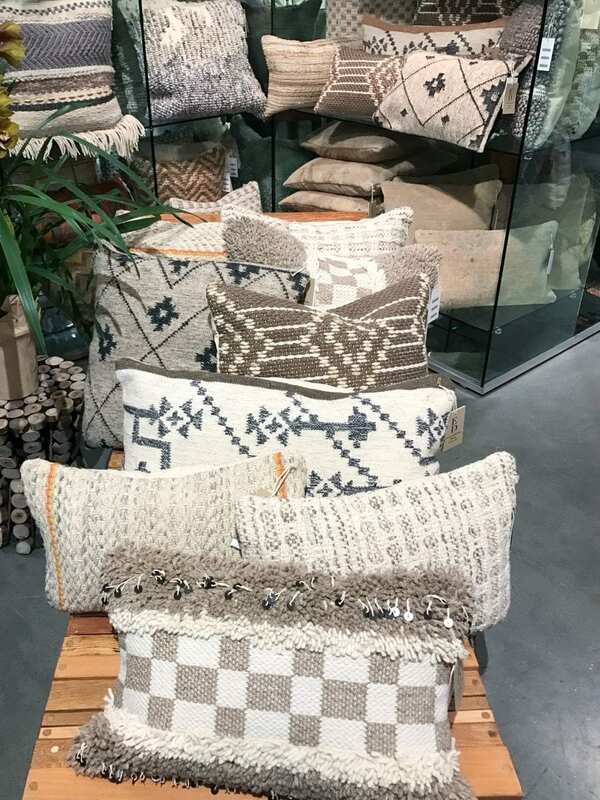 D.V Kap provided market with a never-ending selection of decorative pillows and throws, including a large outdoor collection. 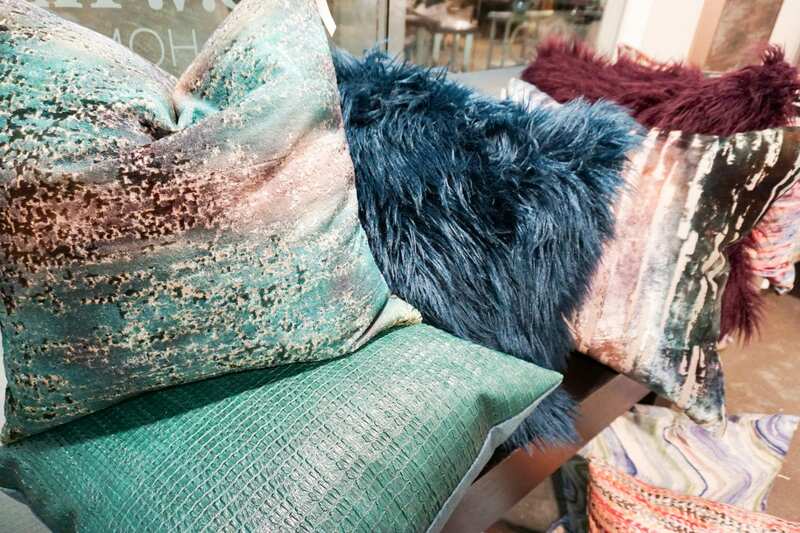 While neutrals seem to still be an industry hit, we loved the selection of cool, pastel and jewel tones. 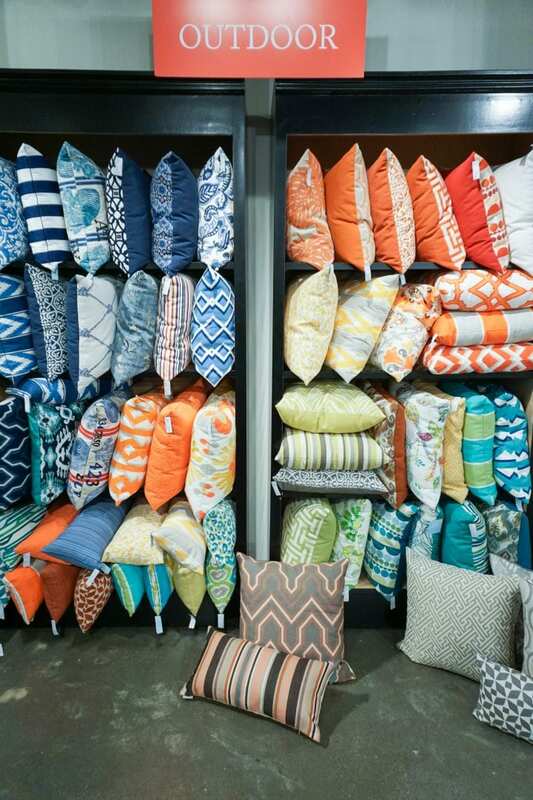 Pillows and throws from DV Kap are made-to-order out of Fresno, CA with a 3 week lead time. 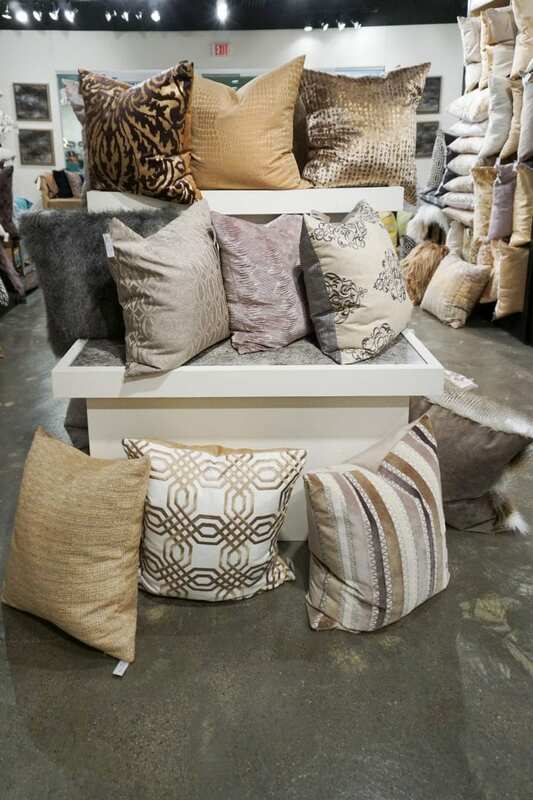 Standard sized pillows are 24″ x 24″ with a zippered removable cover and feather/down insert. 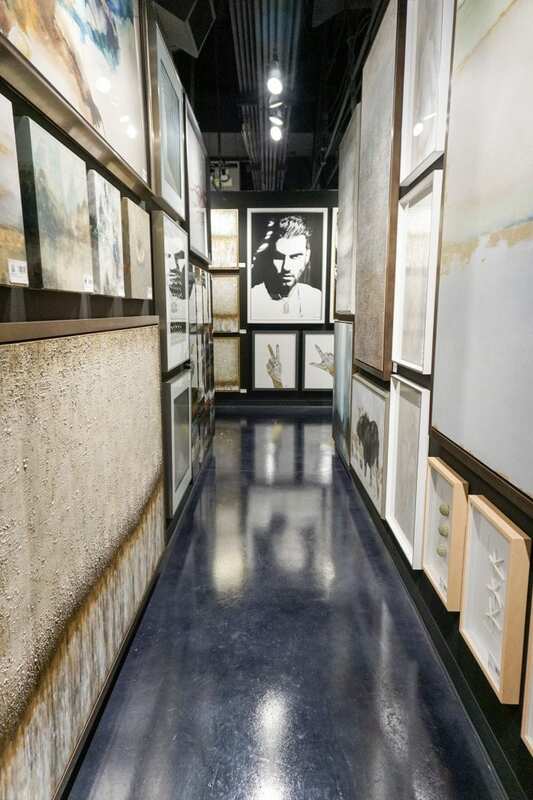 View the entire collection online. 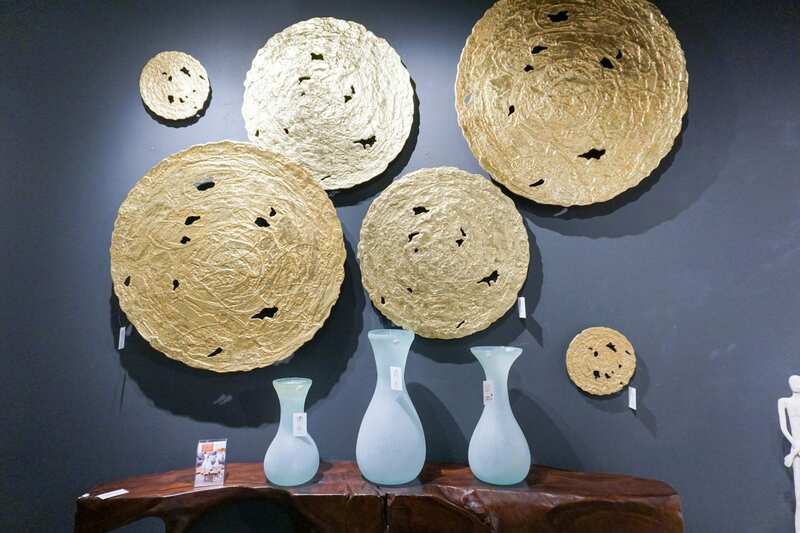 Exploring the latest from Jaipur Living is always a world of inspiration. 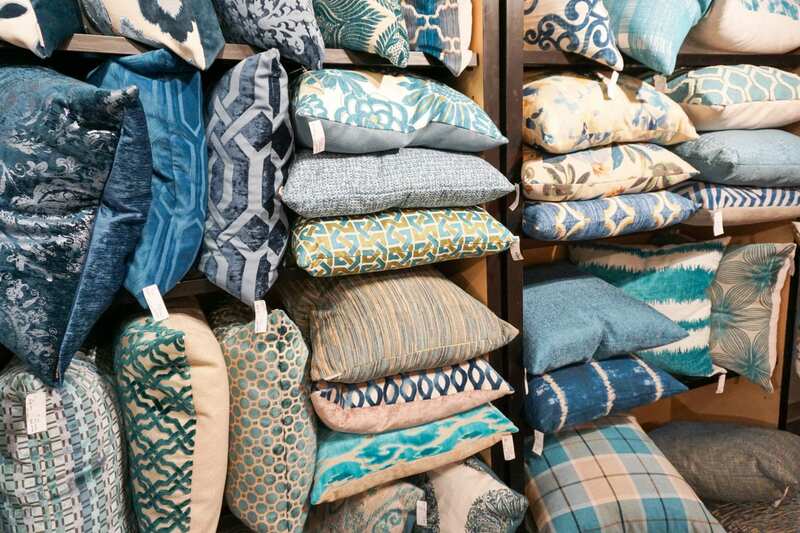 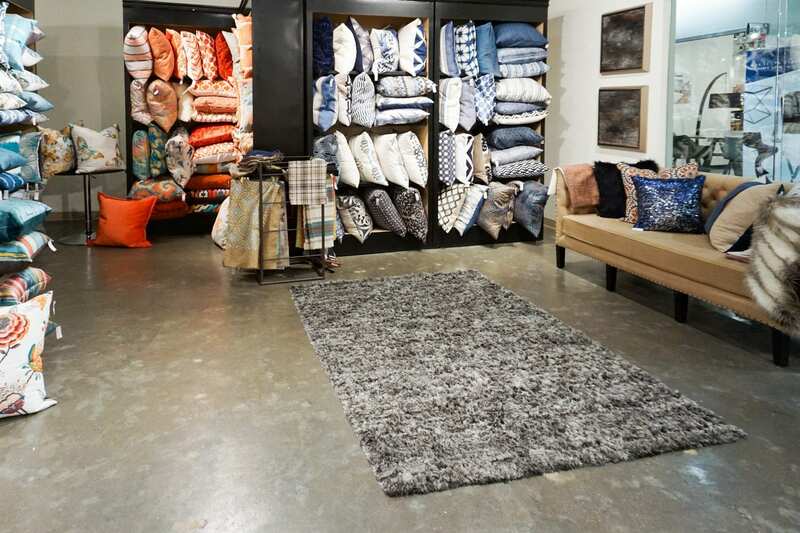 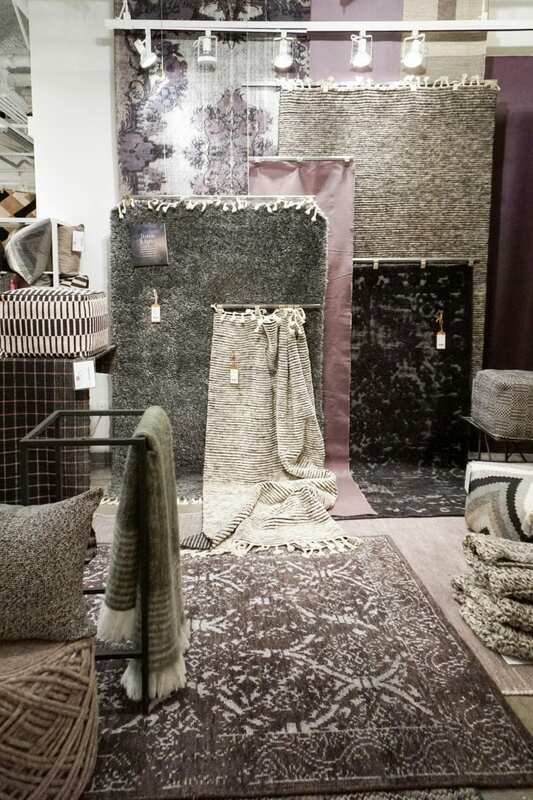 We noticed the trend of cool hued, jewel tones mixed with neutrals to be the trend inside of Jaipur’s showroom as well. 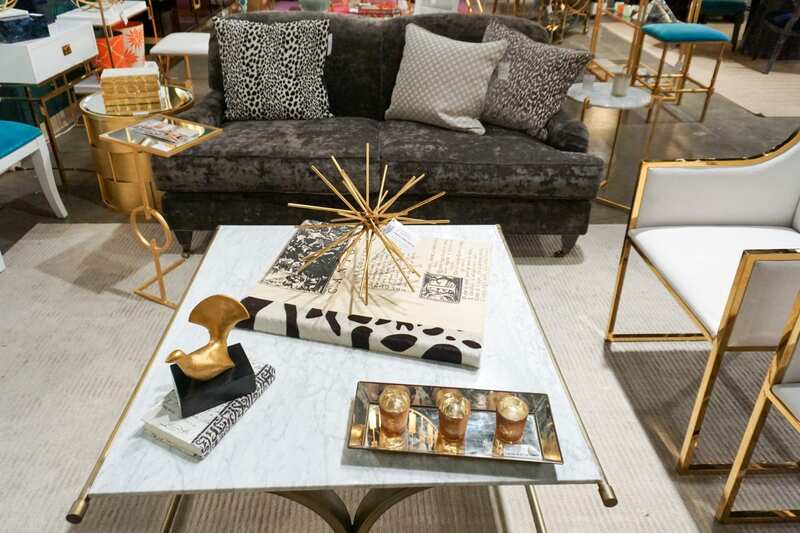 They introduced new items from the kate spade new york line as well as the Kavi and Nikki Chu lines. 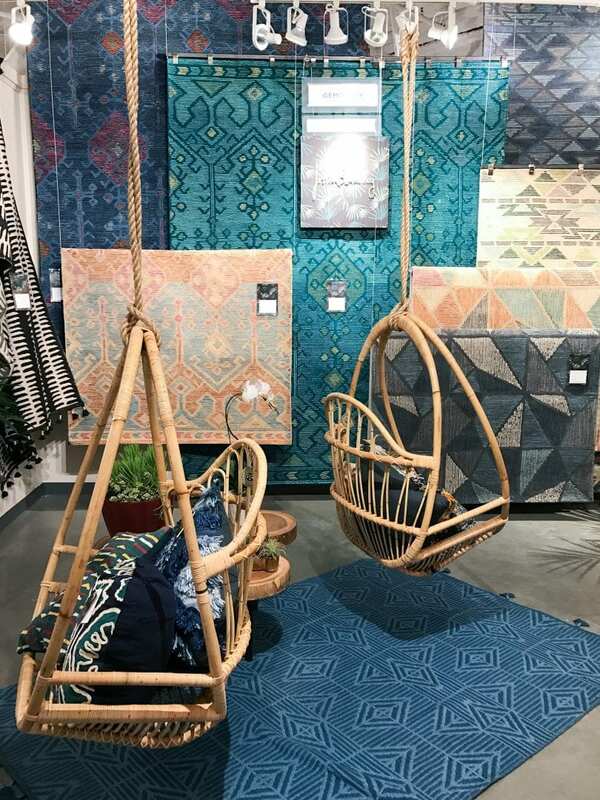 Jaipur also launched the Custom Quick Ship program, where select shades of Basis, Konstrukt, and Yasmin can be made-to-order in custom sizes and received within 6-8 weeks! 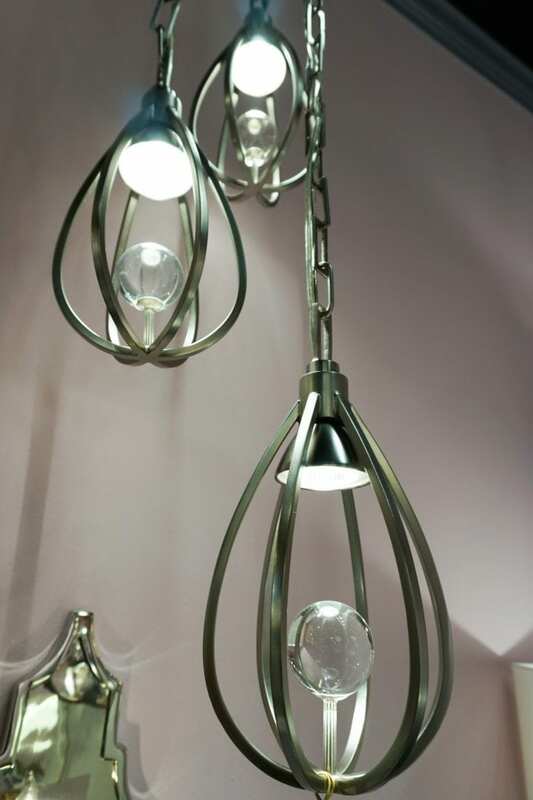 For more details, please refer to Page 605 in the 2017 Catalog. 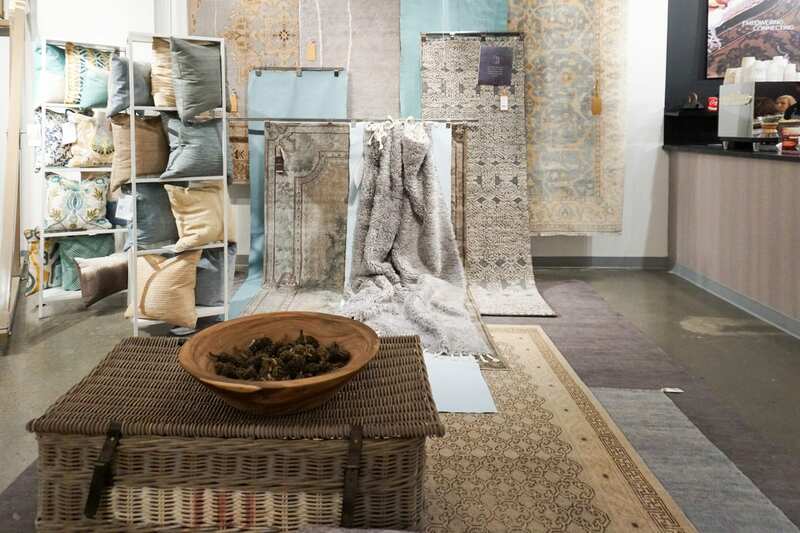 Artisan Row, exclusive online marketplace featuring a beautiful range of handmade, one-of-a-kind and limited edition luxury rugs, is being continued with beautiful pieces in colors unavailable in the regular lines. 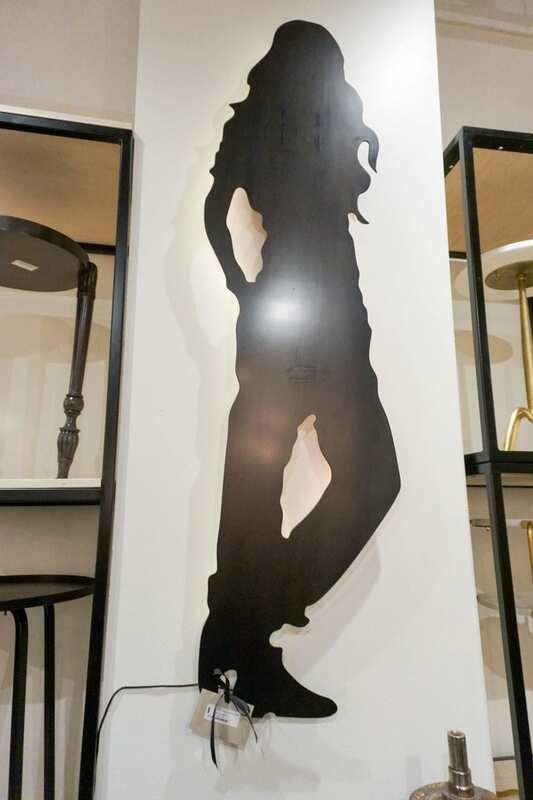 All new product can be viewed online. 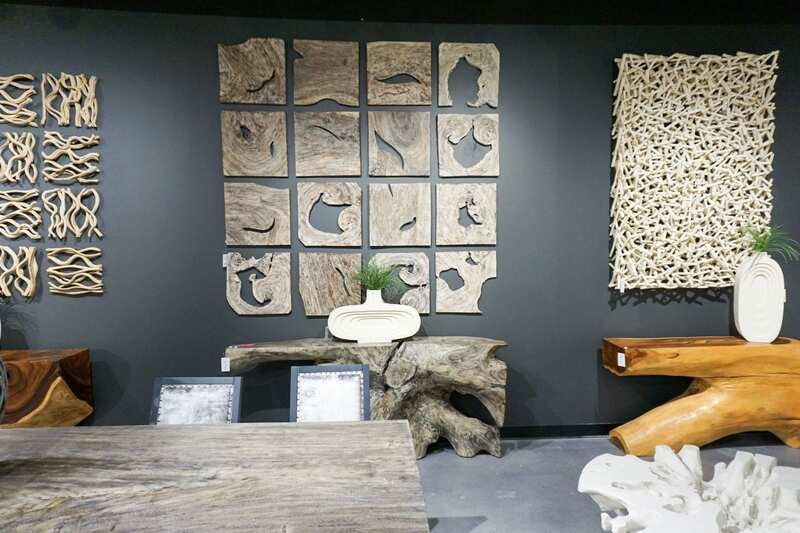 If you’ve never been into one of Leftbank Art‘s expansive showrooms (in this case, two at LVMKT), you are truly missing out. 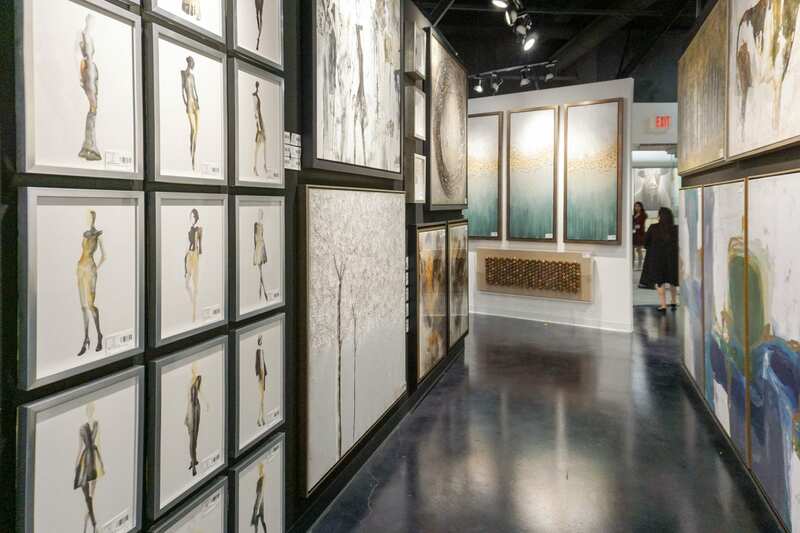 Welcome to art heaven. 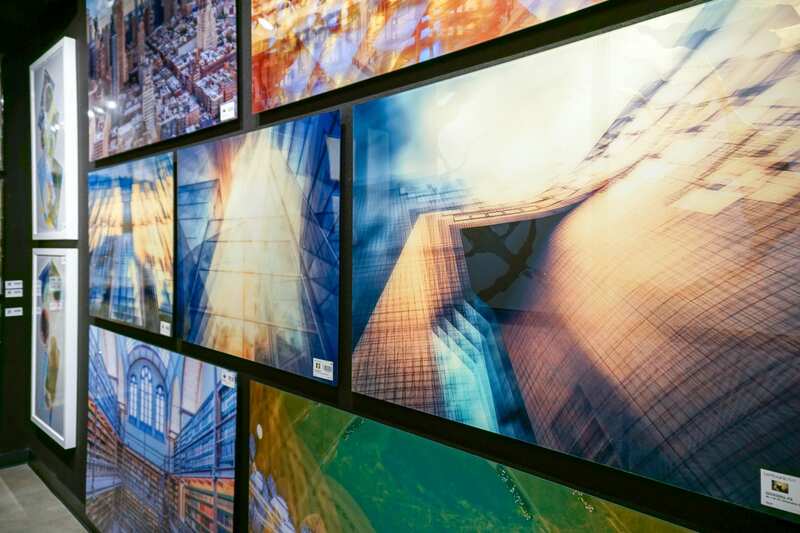 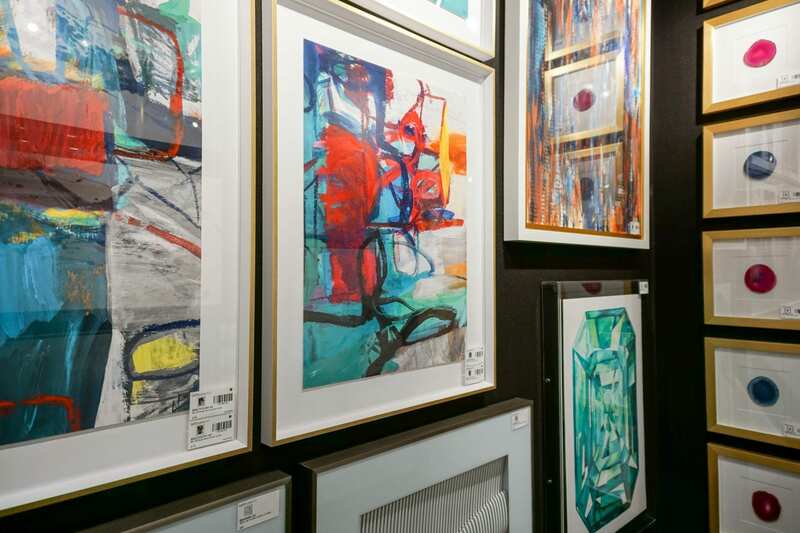 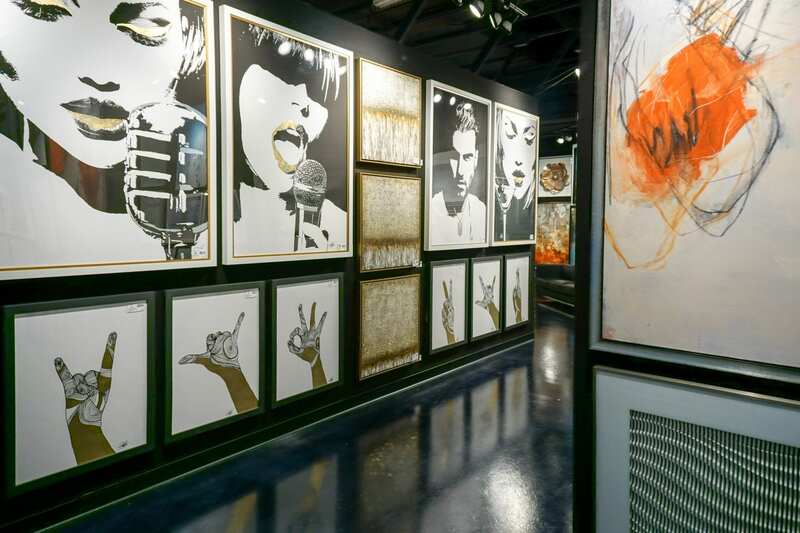 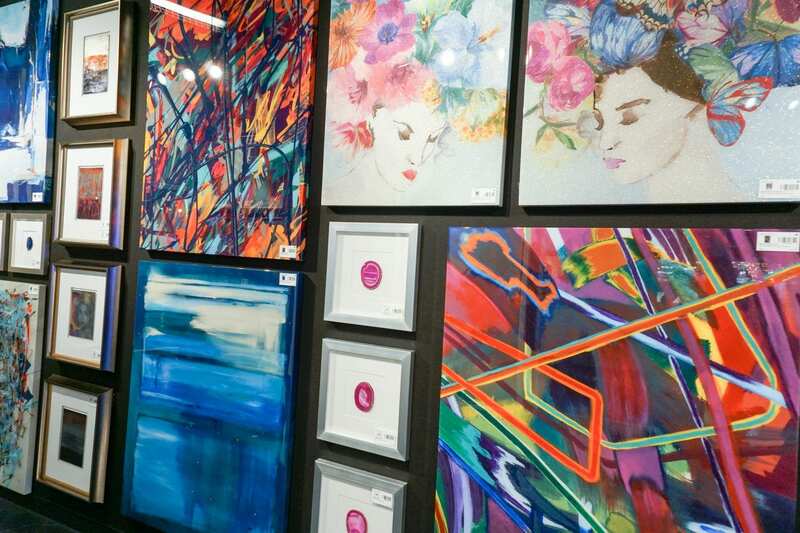 Leftbank Art has 400+ new introductions since High Point Fall Market, showcasing glitzy colorful abstracts, to beautiful photography, to monochromatic images for the rock n’ roll lifestyle. 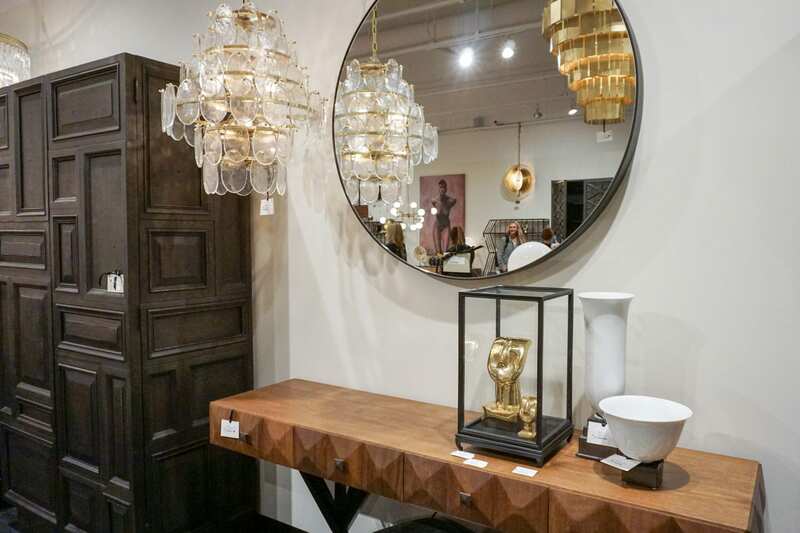 Of the hundreds of pieces on display, celebrity designer collections from Kelly O’Neal, Barclay Butera, Kelli Ellis, and Bobby Berk were huge hits. 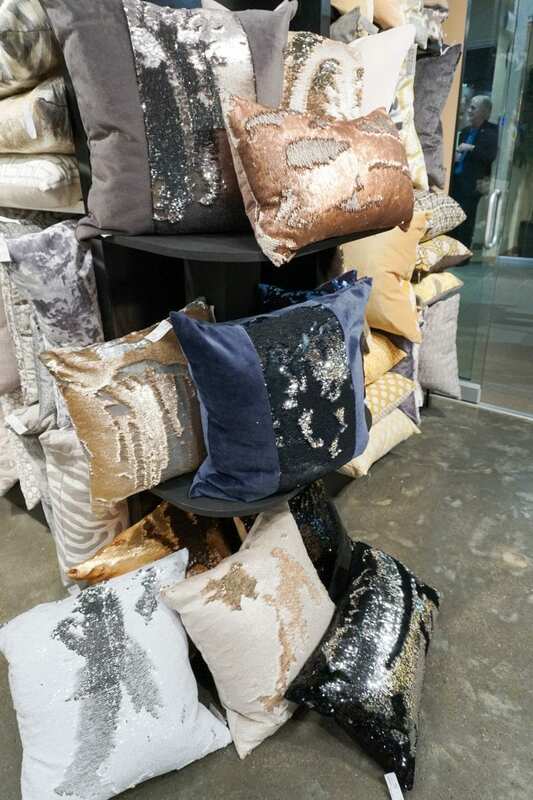 Leftbank introduced new finishes such as Bling Canvas and Diamond Dust. 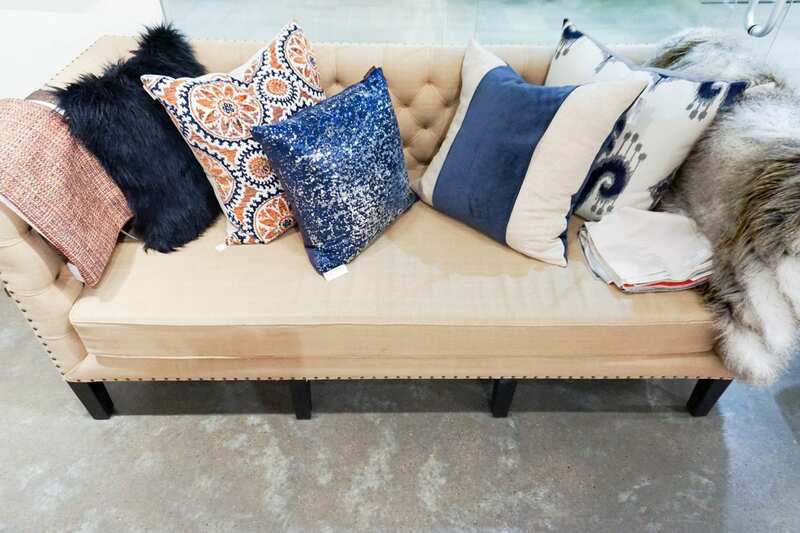 Select glitter pieces are now offered in a non-glitter option. 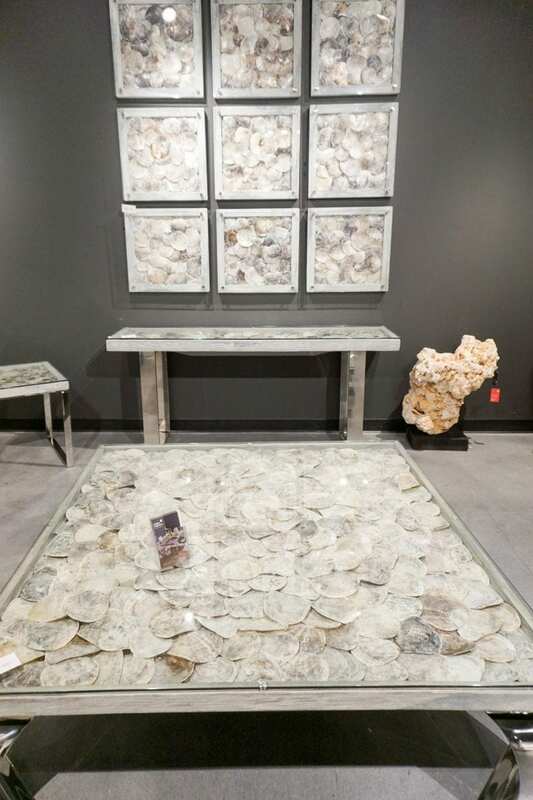 Additional agates, 3D pieces, and metal flowers are also available with limited stock. 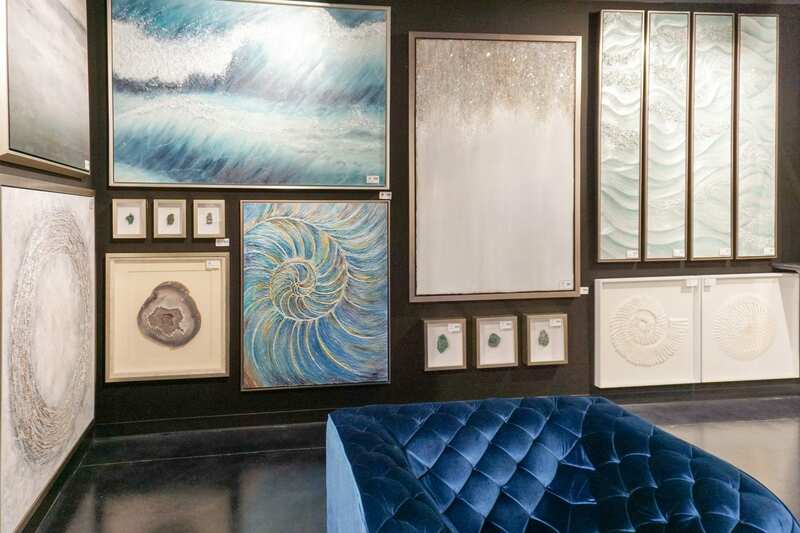 Leftbank has anything and everything to meet your project needs and with a vamped up website, they still have an excellent advanced search option to narrow down what you are looking for. 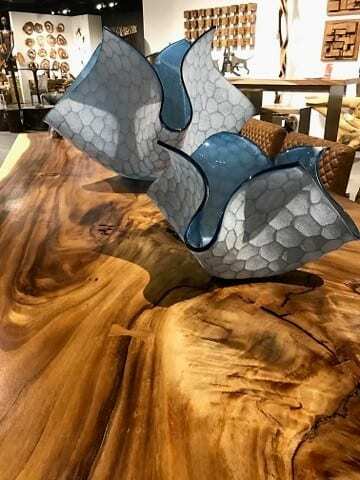 View new items and finishes at leftbankart.com with registration. 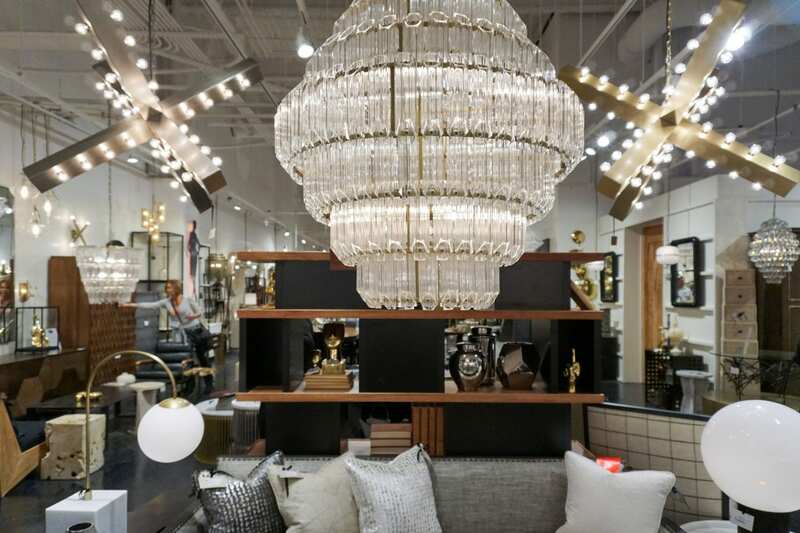 Noir switched from Building B to Building C, a 8,000 sq.ft showroom, and had a terrific reception and non-stop foot shoppers throughout market. 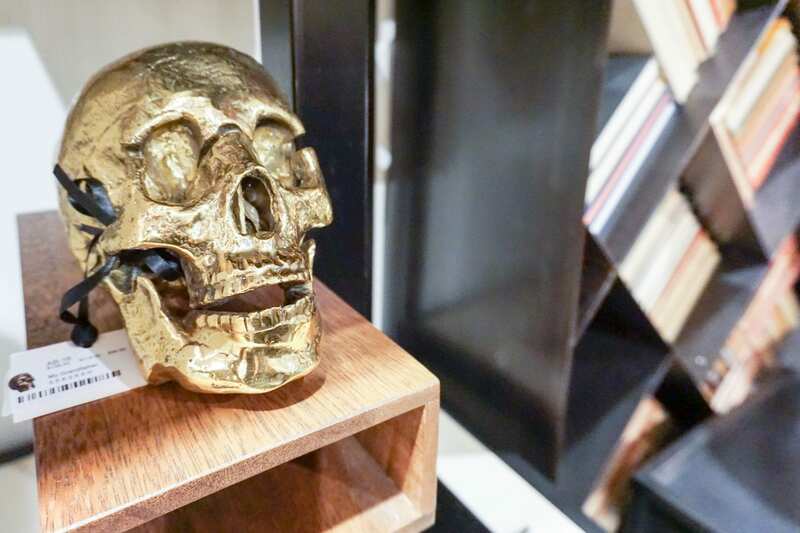 As always, Noir showcased over 100+ of the new introductions released the past few months. 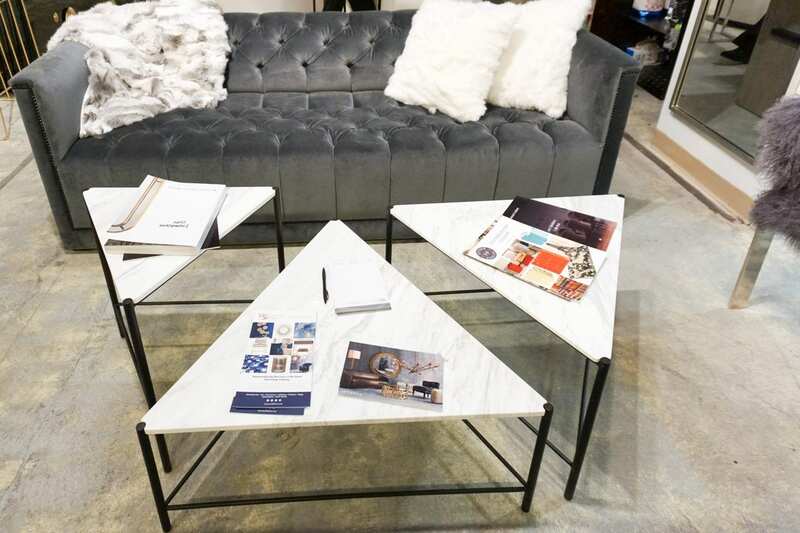 The Noir product line is aesthetically cohesive yet has the breadth to complement a full range of interior design styles including Classical, Traditional, Mid-Century Modern, and Modern. 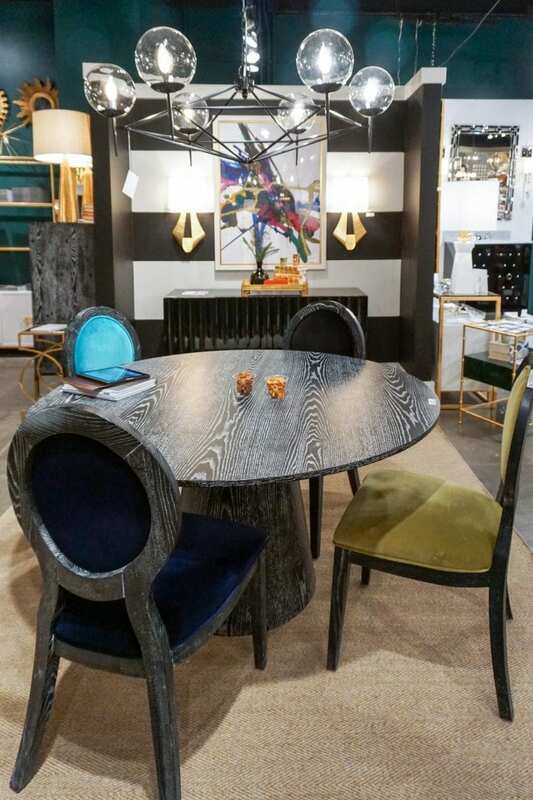 Some of the Noir highlights were the Julian Chair, with ultra comfort cushioning, style, and teak frame; the Yoshiko Dining Table, made of mahogany; and the Zoe Sputnik Chandelier, which is a part of Noir’s stellar lighting line. 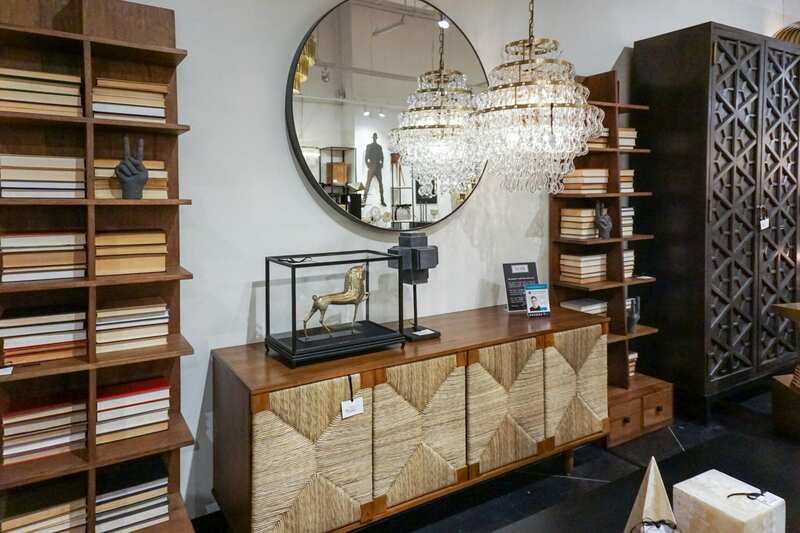 Las Vegas Market Design Tastmaker, Brian Pacquette Interiors selected the Brook Sideboard in teak for his #ViewOnVegas. 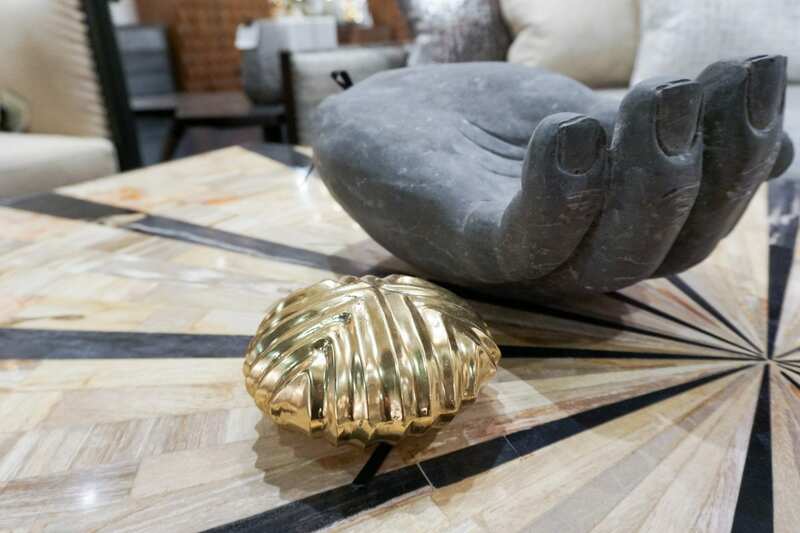 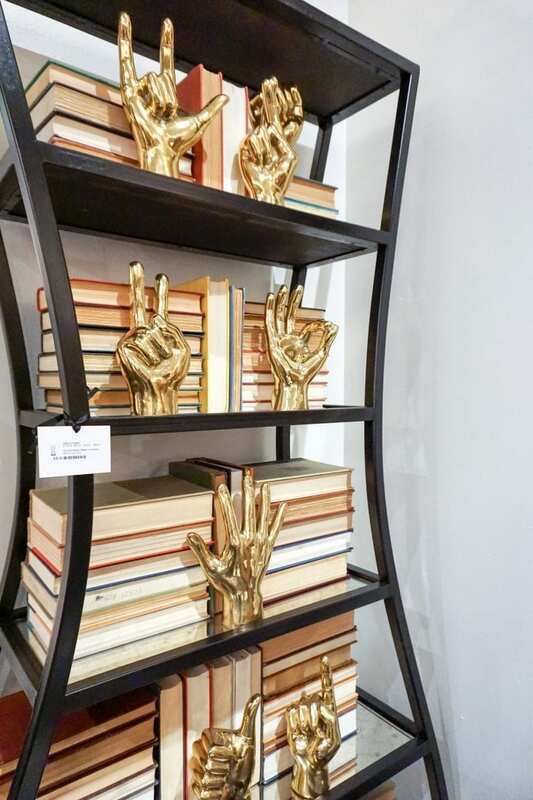 Noir’s silver and brass accessories such as the different hands, continue to be a hit market after market. 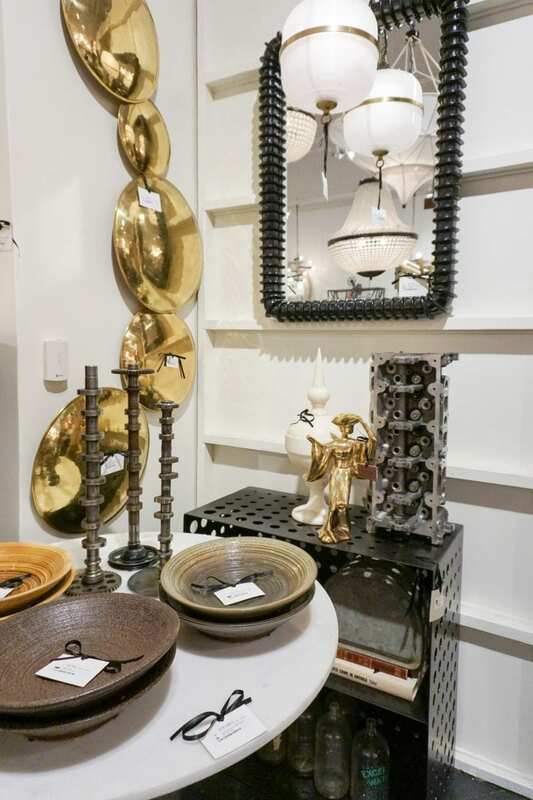 See more photos of their showroom on their Facebook Page and make sure to follow their Instagram. 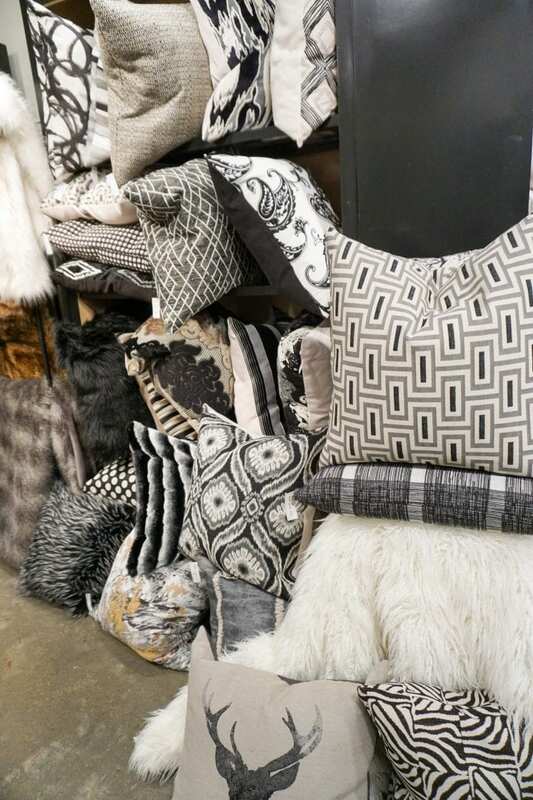 Noir items are available for pick up at their headquarted in Gardena, CA (Los Angeles) with the following in stock lead times: Noir can be scheduled for pick up as soon as 5 business days from receipt of order, and CFC items require 1-2 weeks for finishing and 2-3 weeks for upholstering. 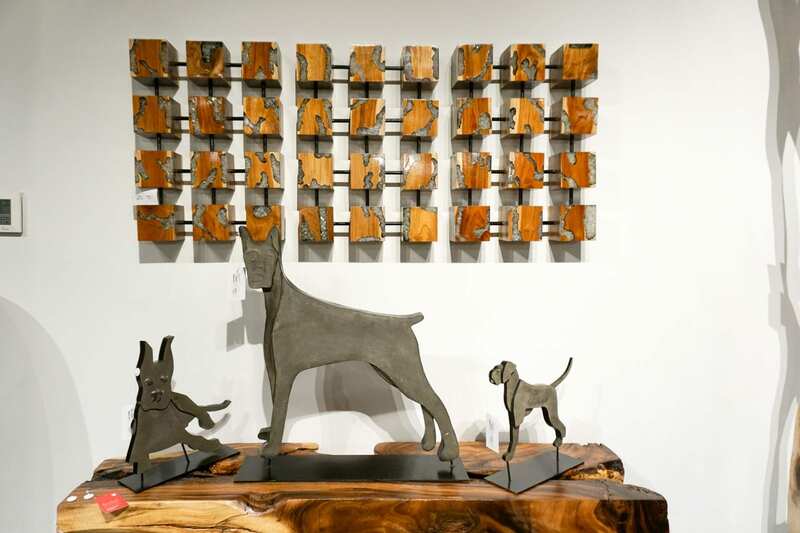 As a reminder, orders cannot be prepped for pick up without a scheduled pick up date allowing for allotted lead times at both companies. 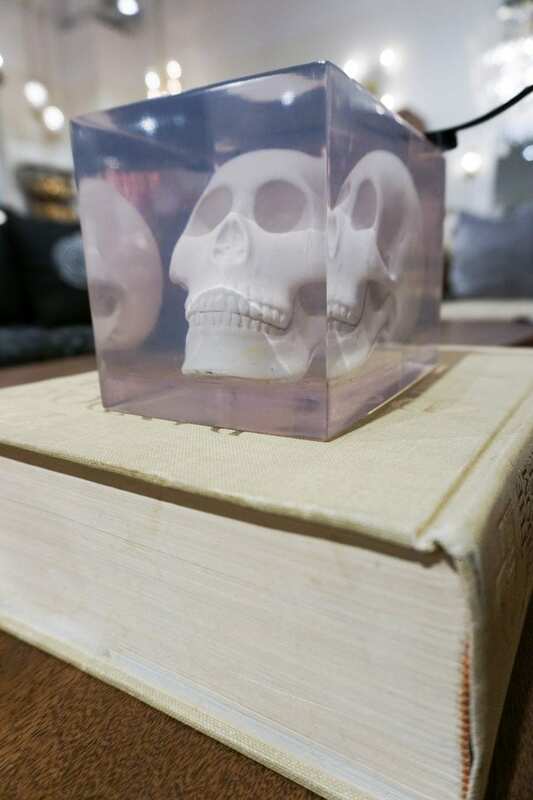 Check out all the new introductions this month: New Noir for January 2017 and New CFC for January 2017. 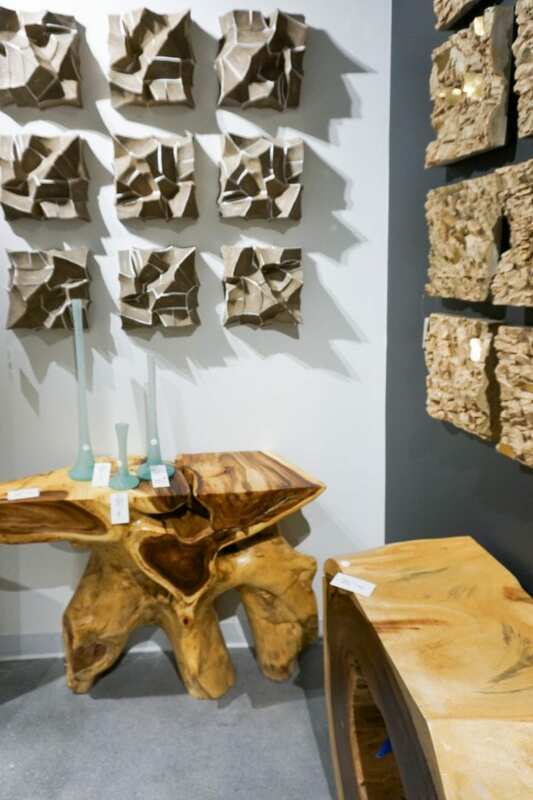 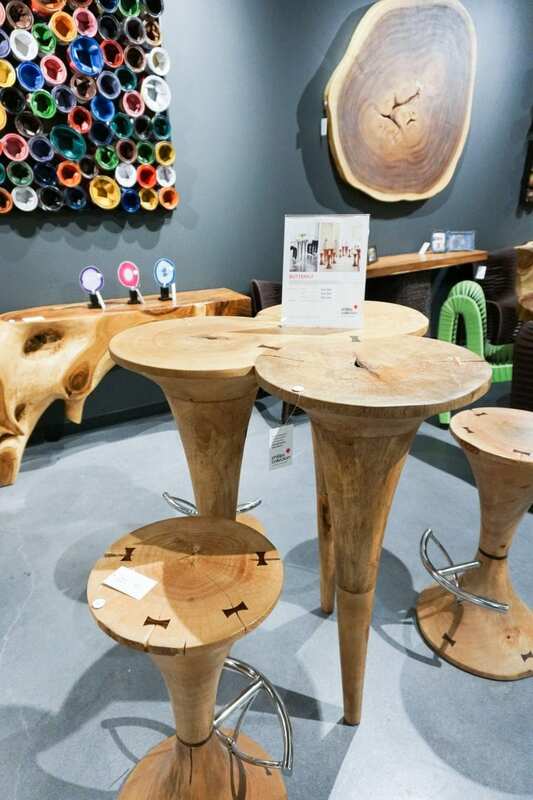 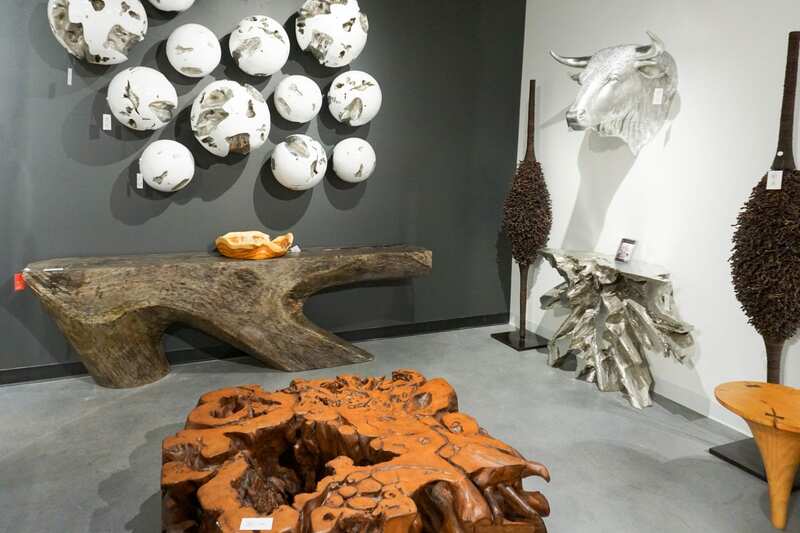 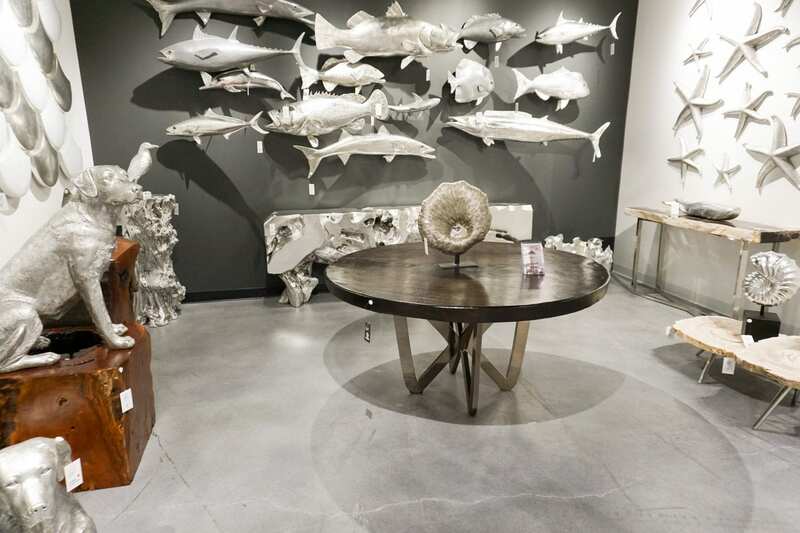 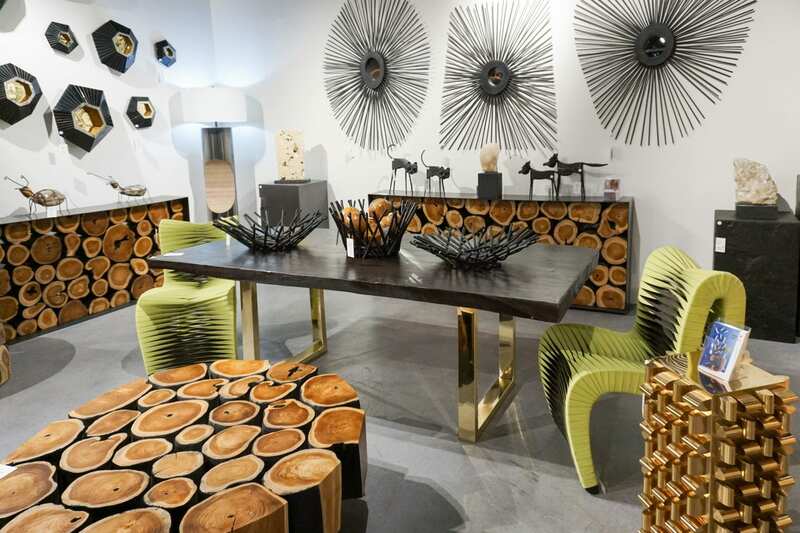 Known for organic, contemporary design, Phillips Collection is always outstanding in their showroom presentation with their over-sized wooden furniture, mixed with eccentric metal pieces. 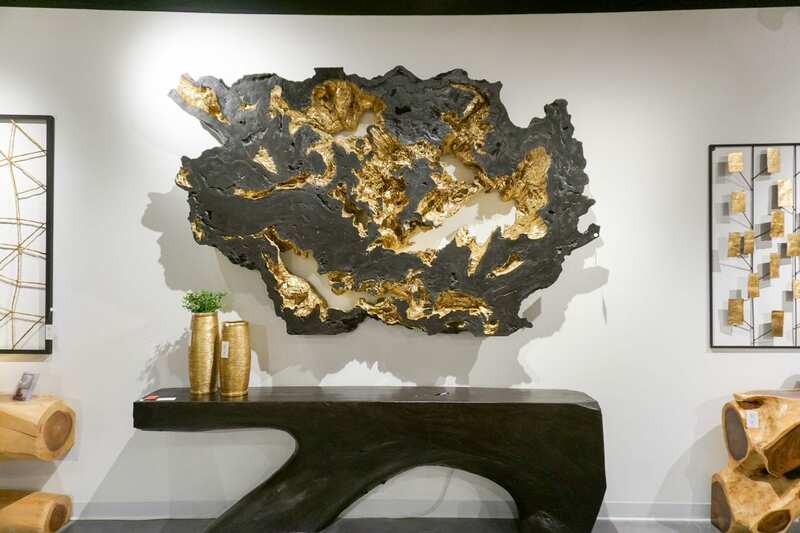 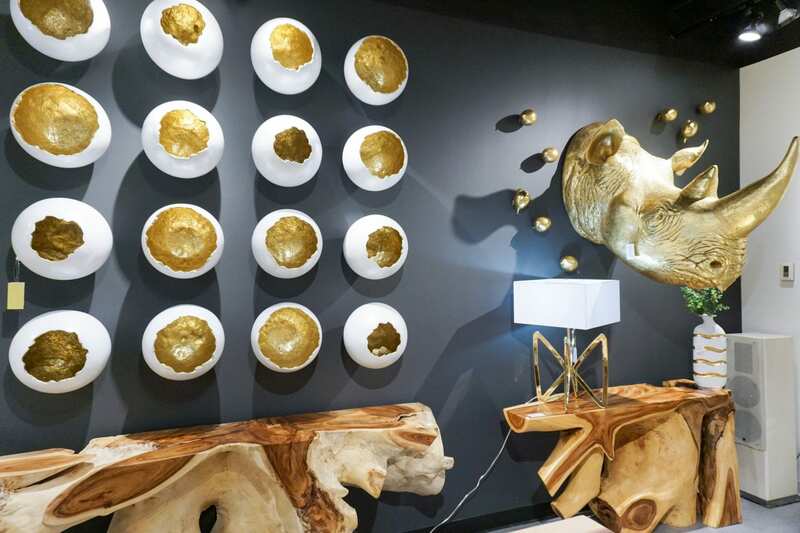 An absolute favorite is their Burled Root Wall Art, a large statement piece of burnt wood and gold leaf resin — a piece convincing enough of their tagline,”every piece a conversation”. 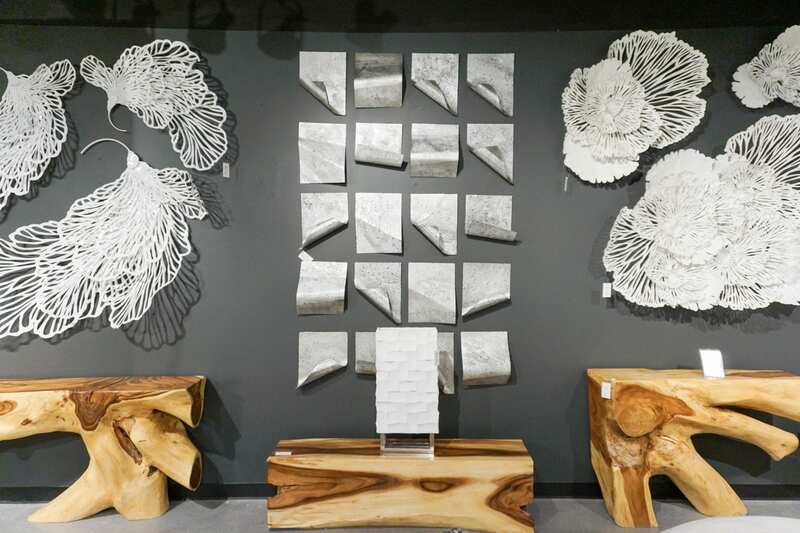 Other great, new introductions include their shell collection, grey stone collection, and metal wall decor. 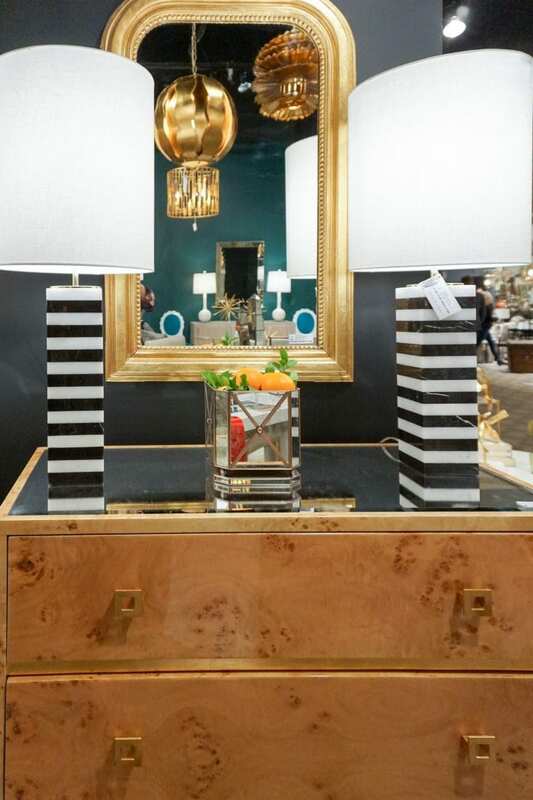 Finishes are available in espresso and ebony, and lucite bases can now be added to any dining tops. 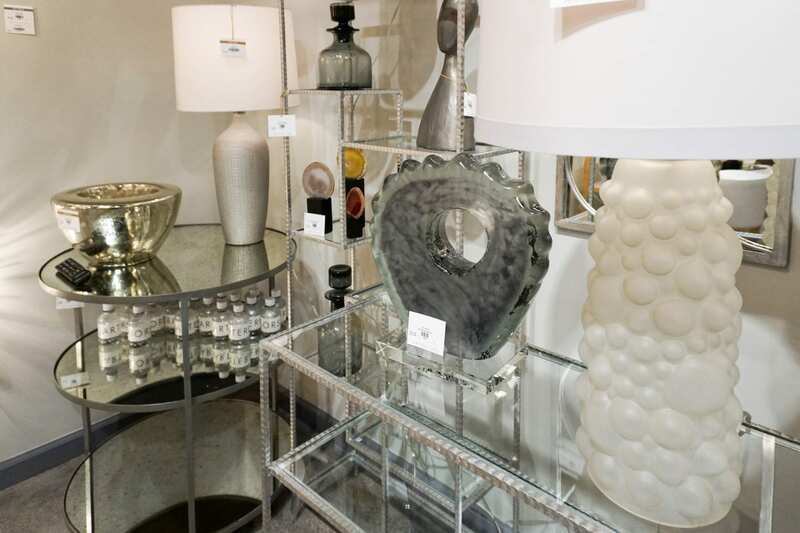 One-of-a-kind origins pieces are released at phillipscollection.com monthly, where you can view real images of individual pieces. 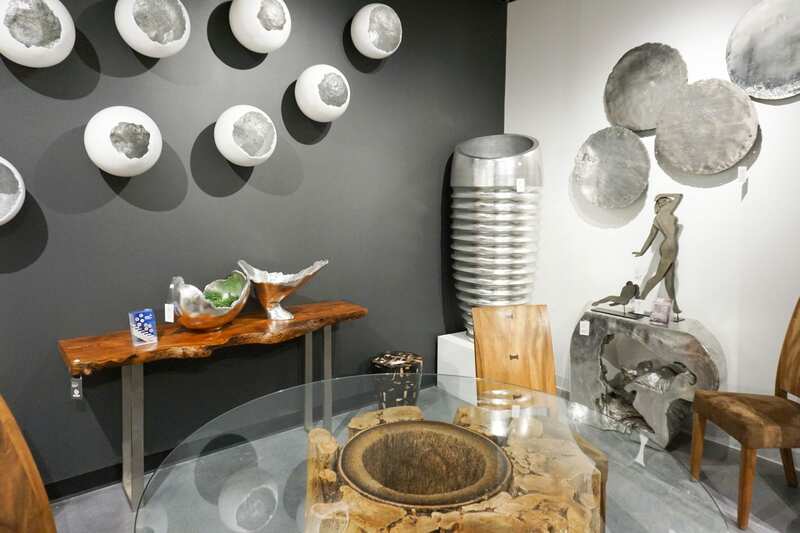 We are extremely excited for their new intro, a stunning purple dining table made from real amethyst. 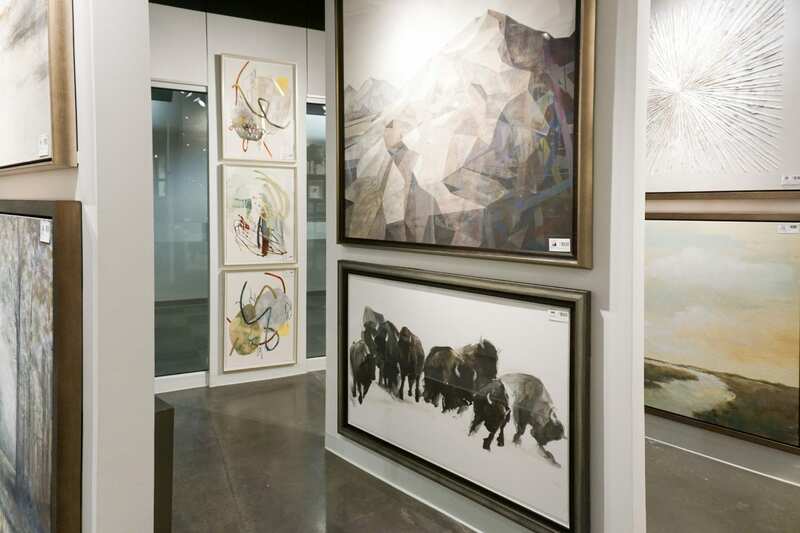 Also, we would like to give a huge congratulations to founder, Mark Phillips on his Lifetime Achievement Award given to him at the ARTs Awards ceremony during Dallas Market this January. 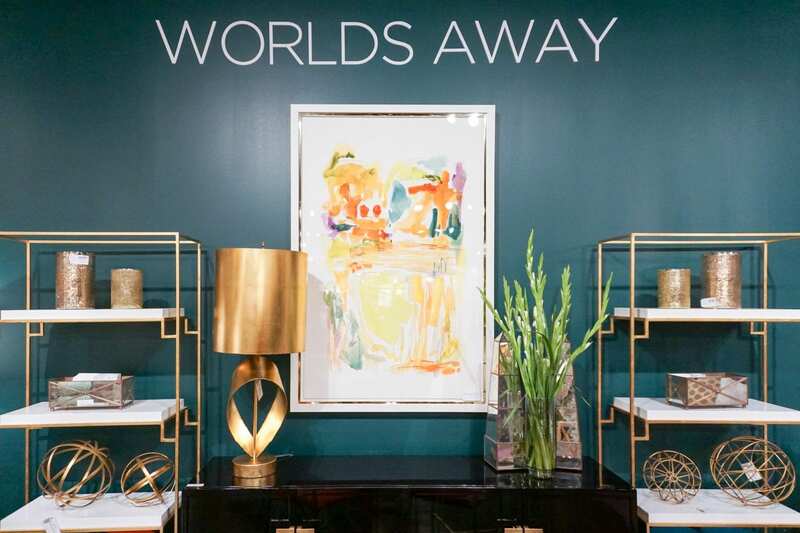 As we mentioned on one of our Instagram stories inside of their exquisite, expanded showroom, World’s Away‘s showroom was a world of inspiration. 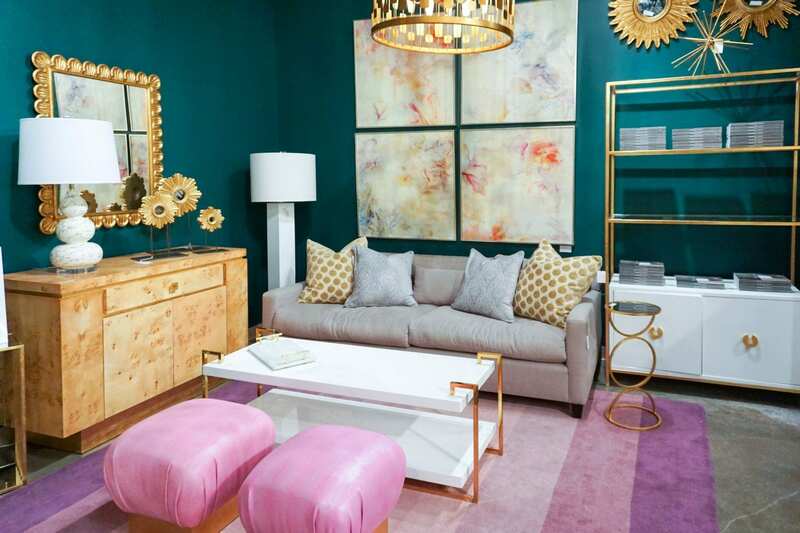 A huge hit was their vignette featuring their Dupont Stools, baby pink poufs with gold leaf bases. 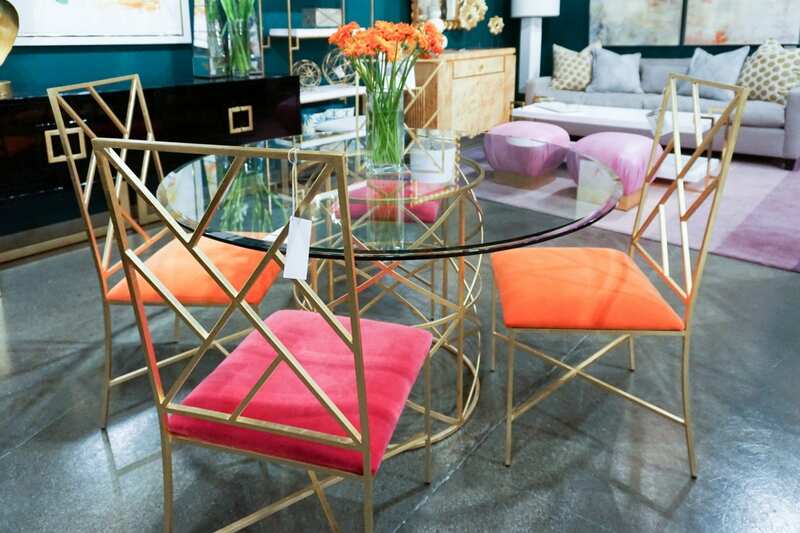 New introductions include dining chairs in various colors, wood marble finishes, and colored counter and bar stools. 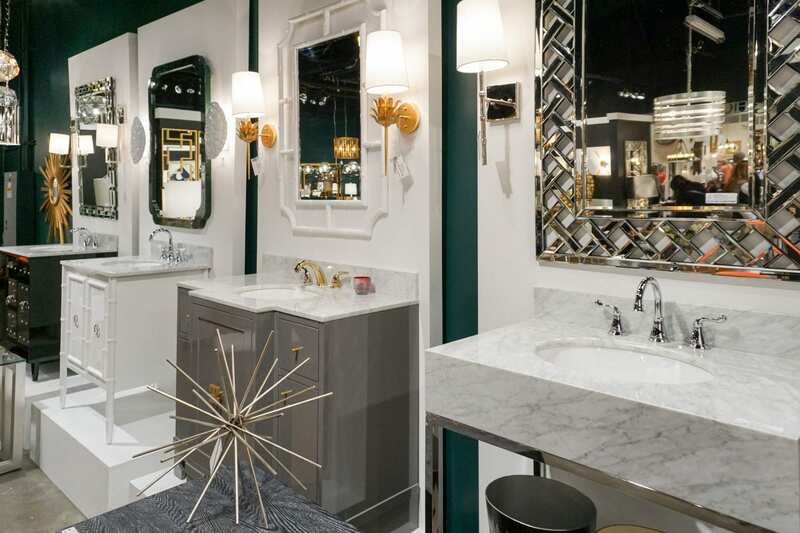 A huge hit of theirs have been their Bath Vanities. 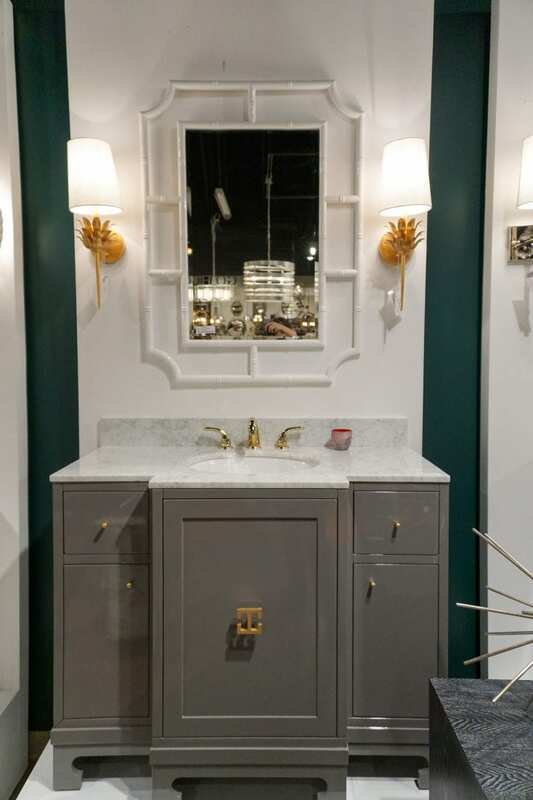 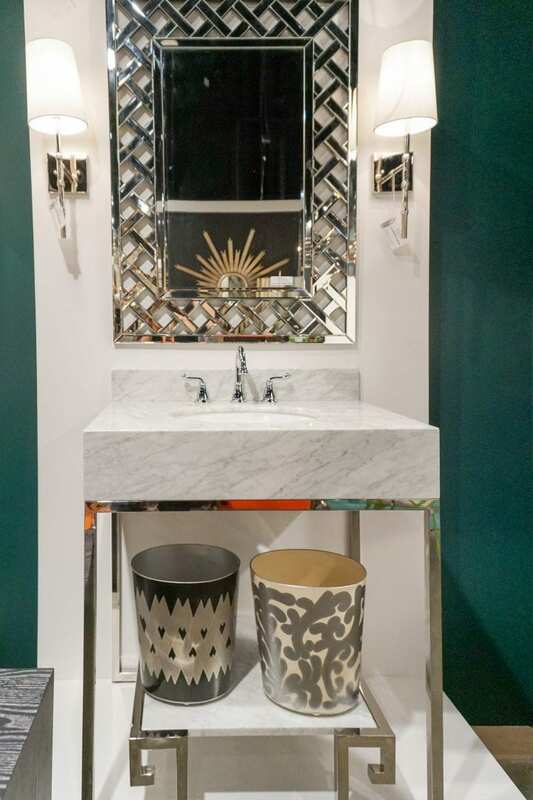 Worlds Away was chosen for Las Vegas Design Takeover by three celebrity designers: Peloso Alexander Interiors chose their Alice Vanity and Marie Flanigan Interiors and Laura U, Inc. both chose their Miller Bench – the perfect piece to incorporate Pantone’s Color of the Year, Greenery. 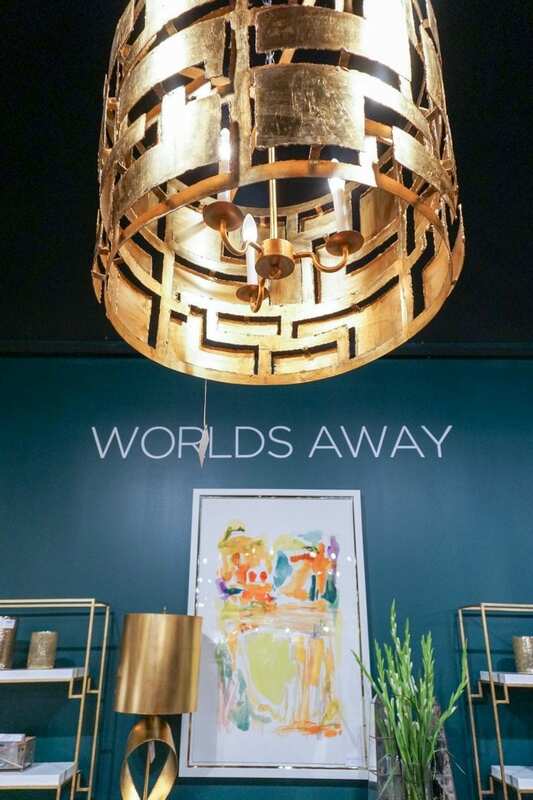 View all of the newest pieces at Worlds Away – What’s New.